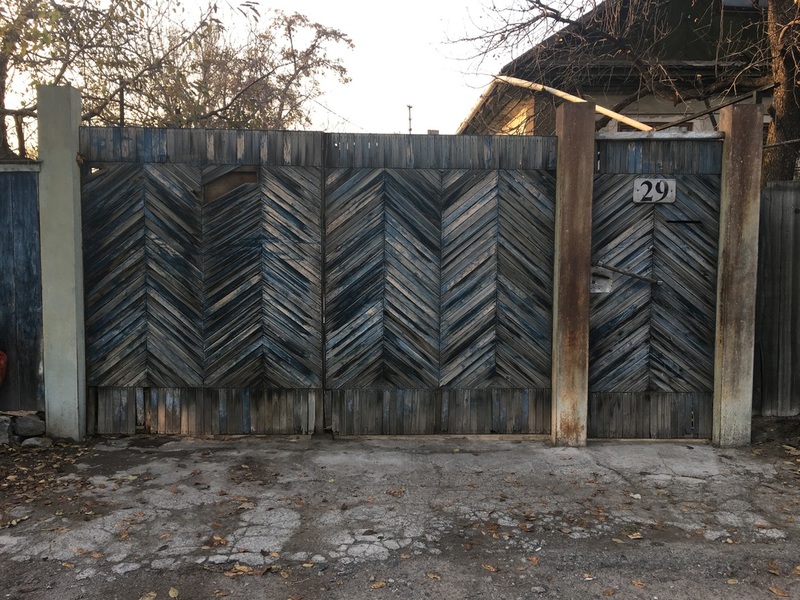 Perhaps the preponderance of intimidating gates in Almaty is not, as I've suggested, a sign of paranoia or self-isolation. 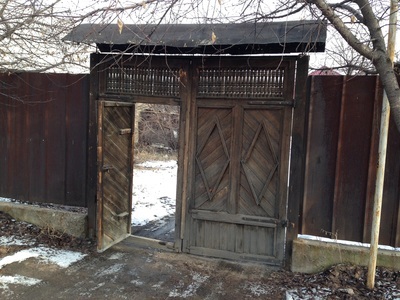 No, it could be that the gate is a warm gesture, an invitation, a welcome mat. 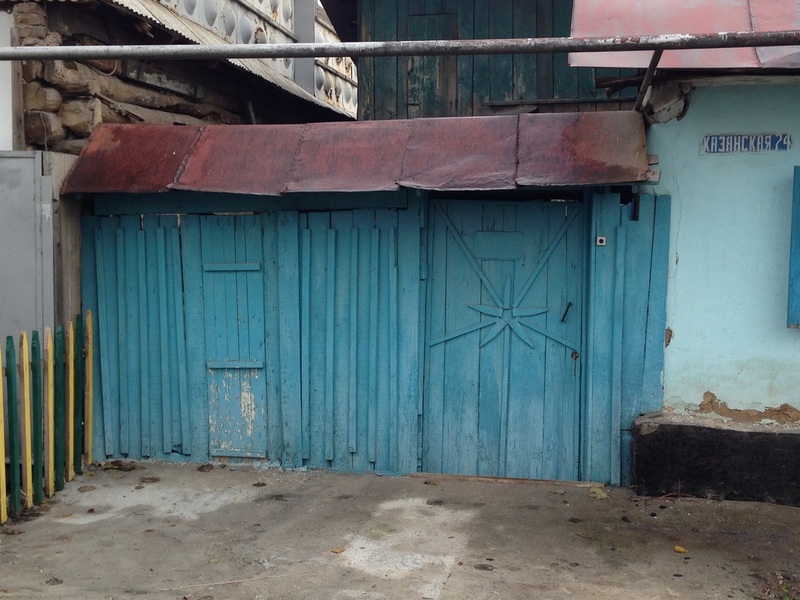 After all, in how many other places in the world can you find gates with roofs, thoughtful little overhangs that keep visitors dry in the rain? 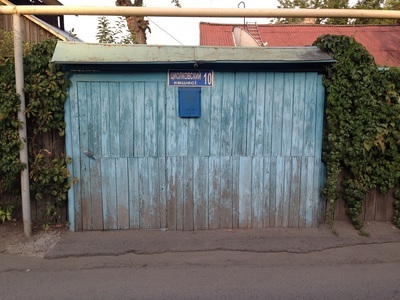 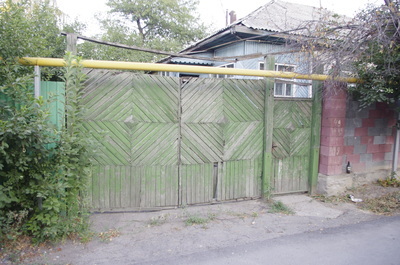 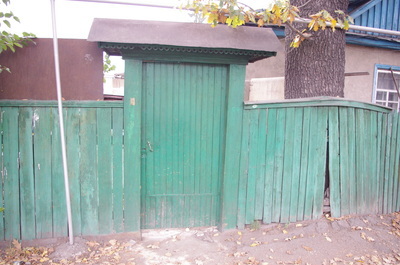 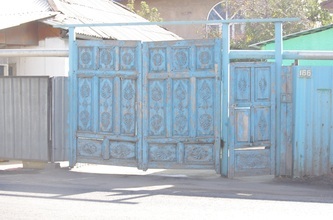 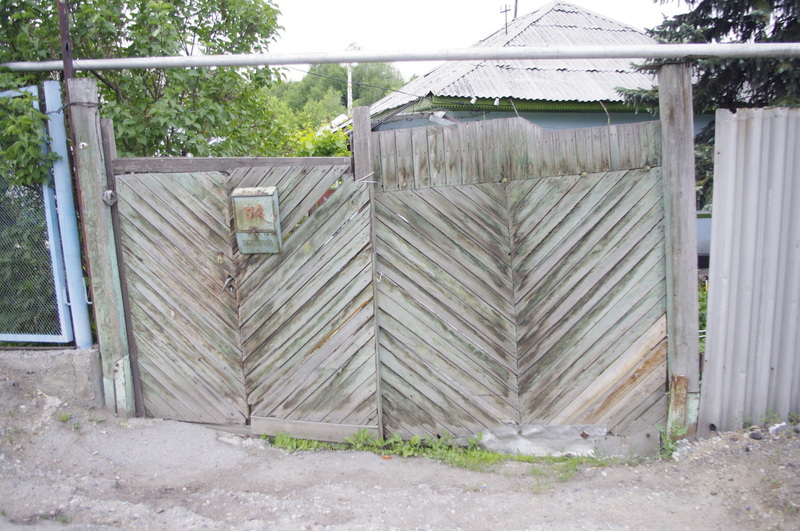 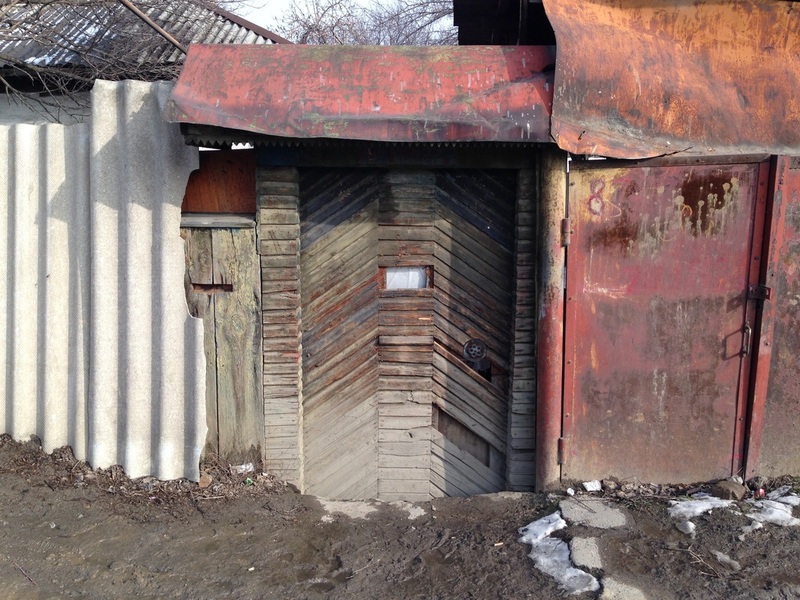 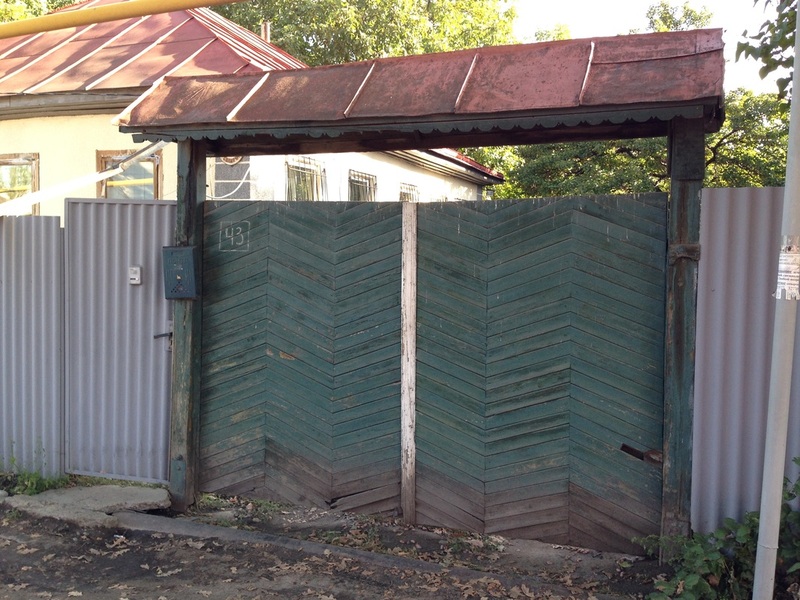 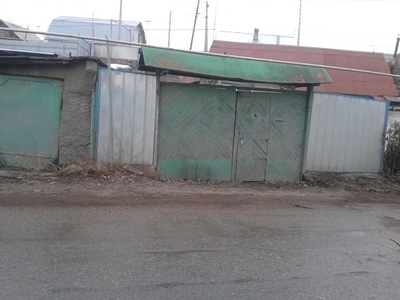 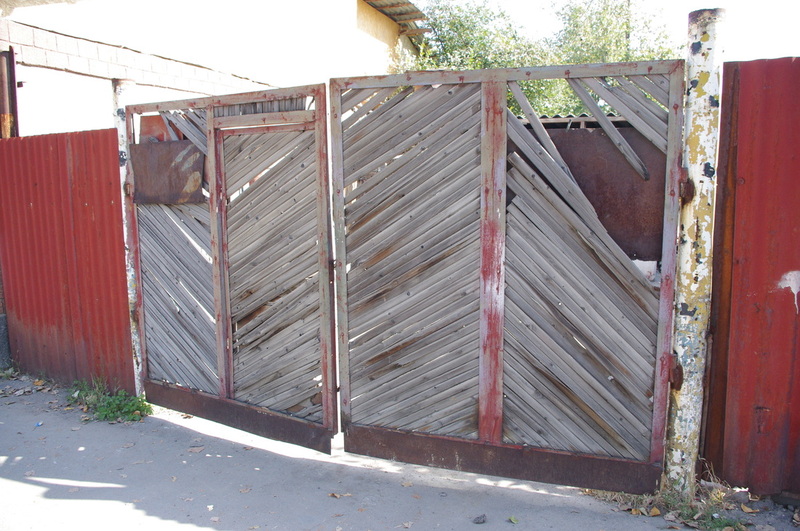 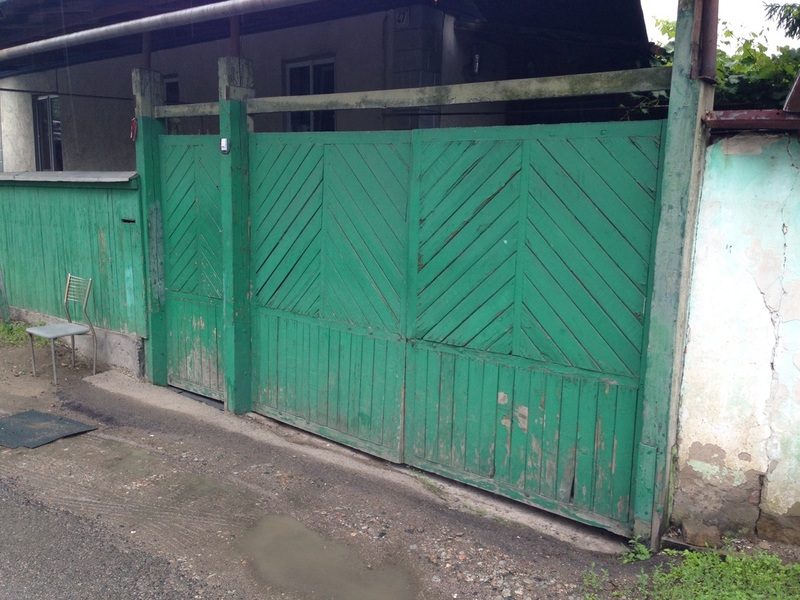 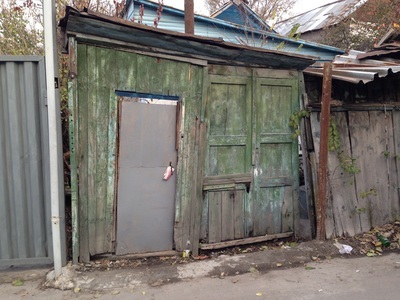 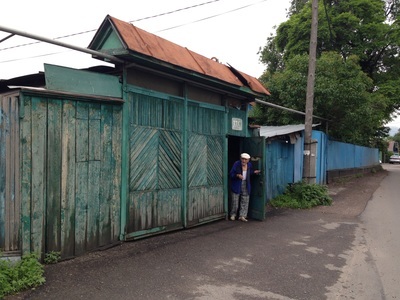 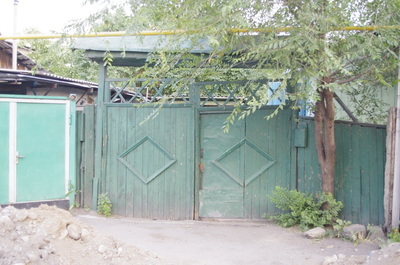 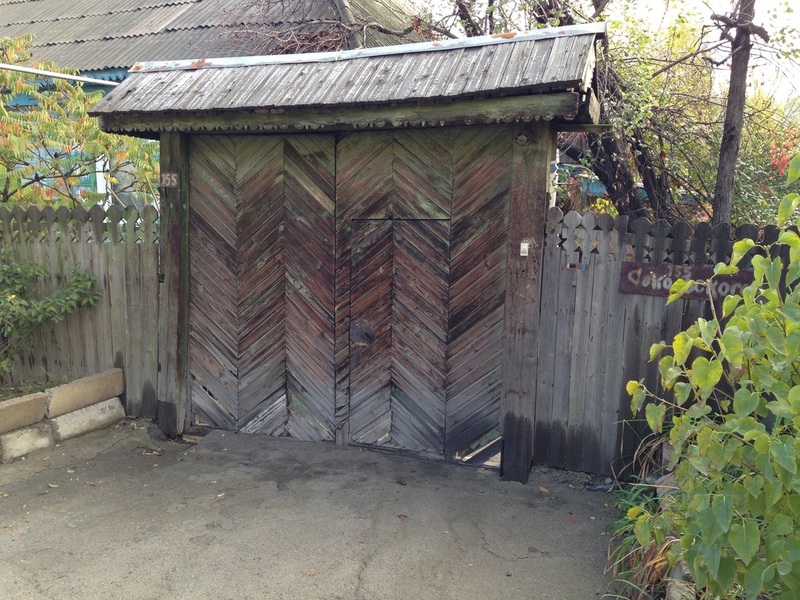 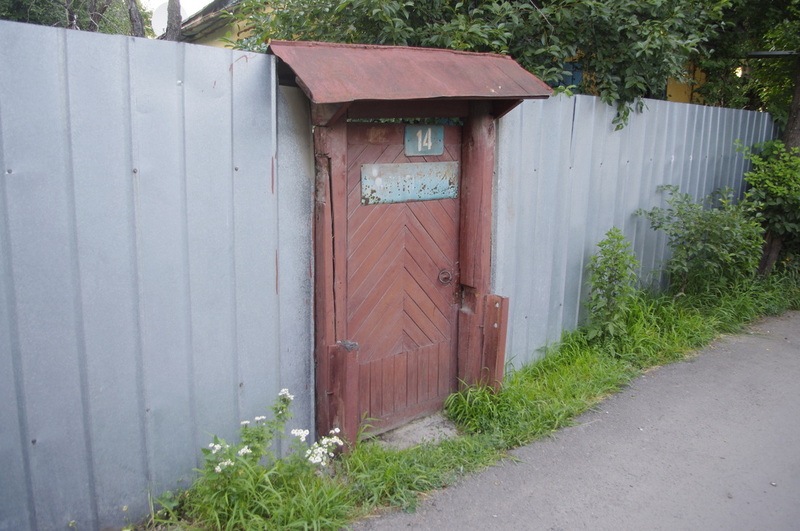 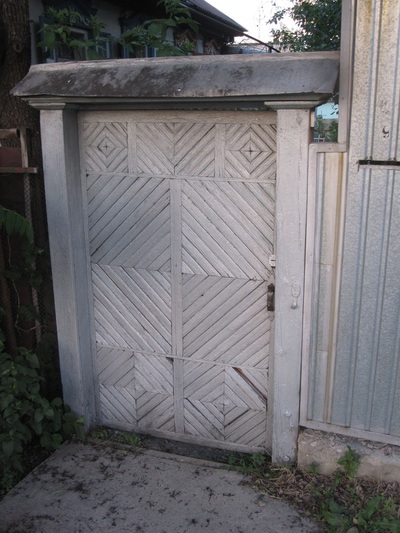 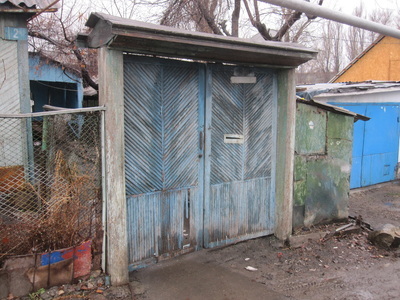 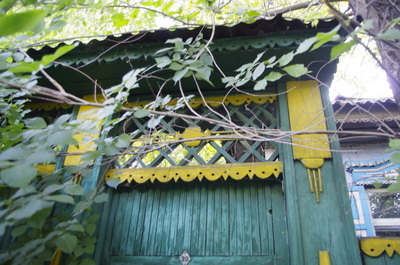 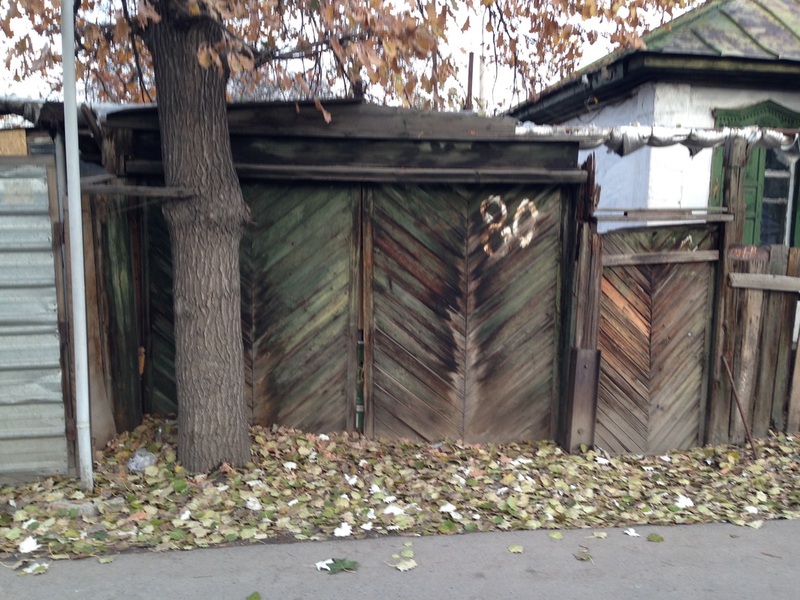 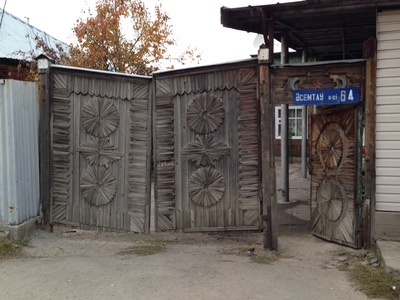 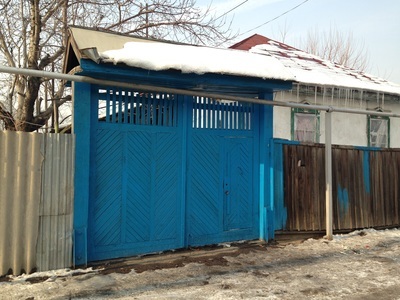 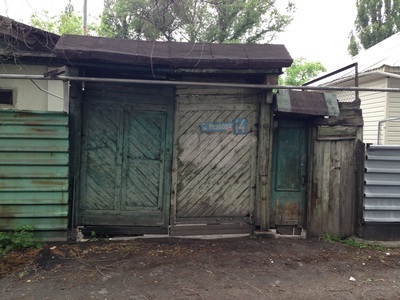 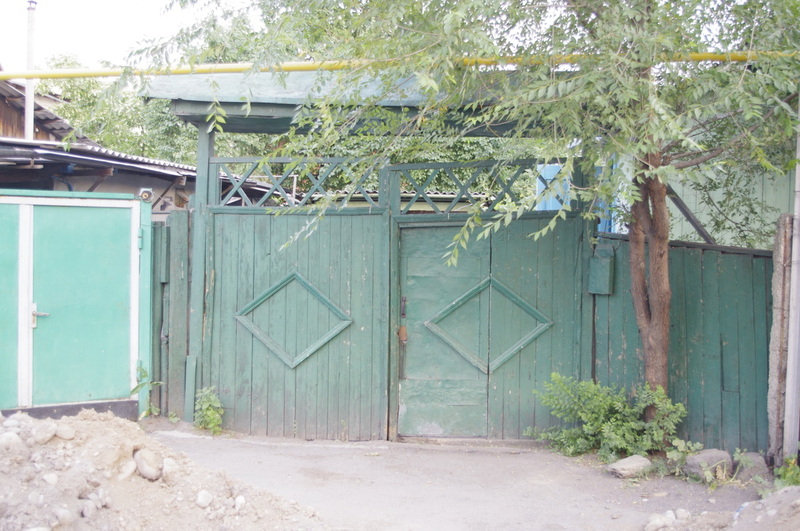 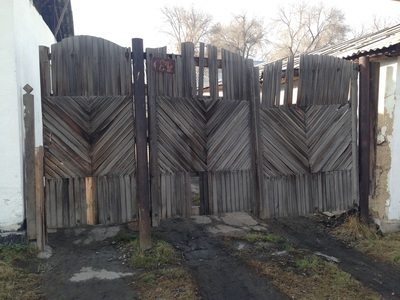 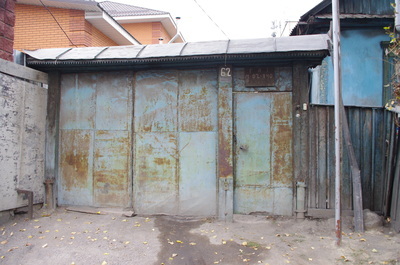 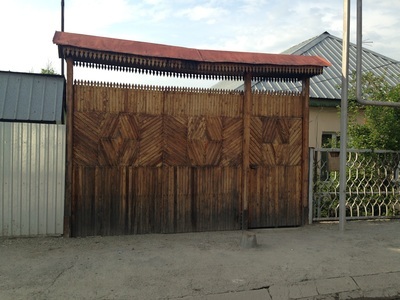 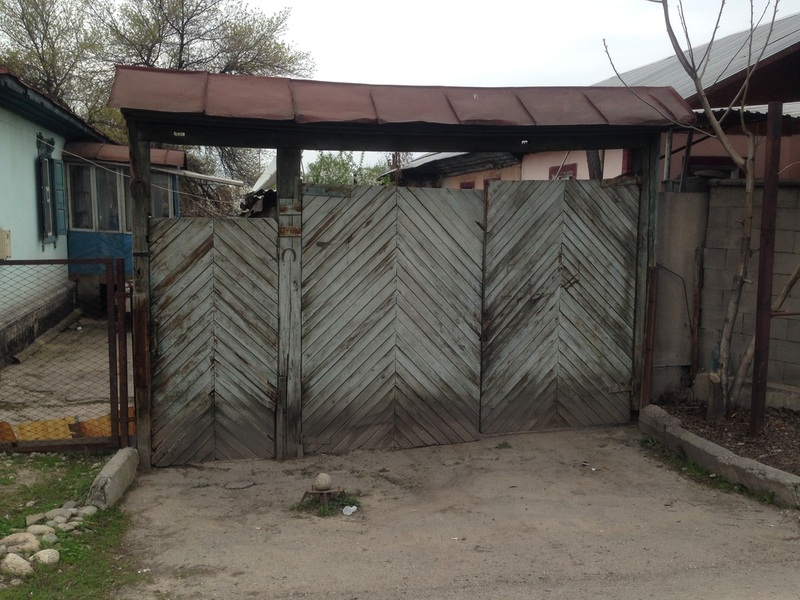 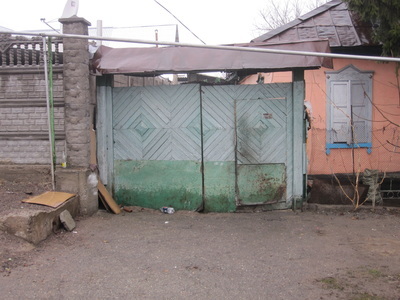 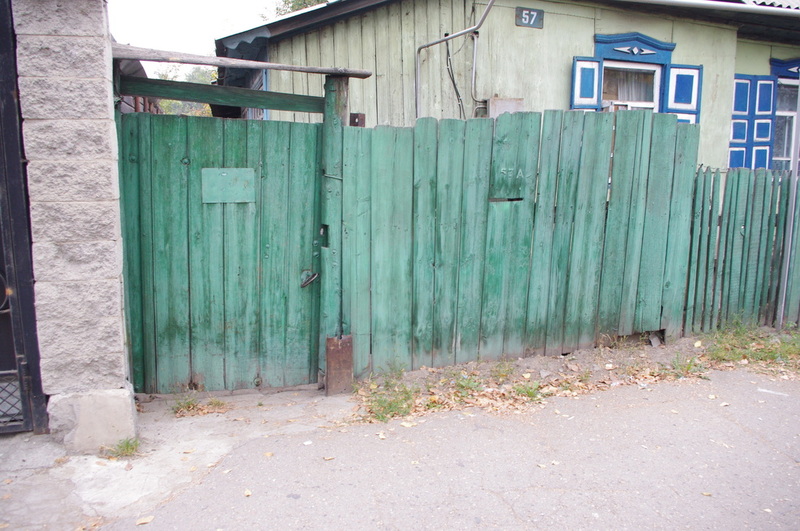 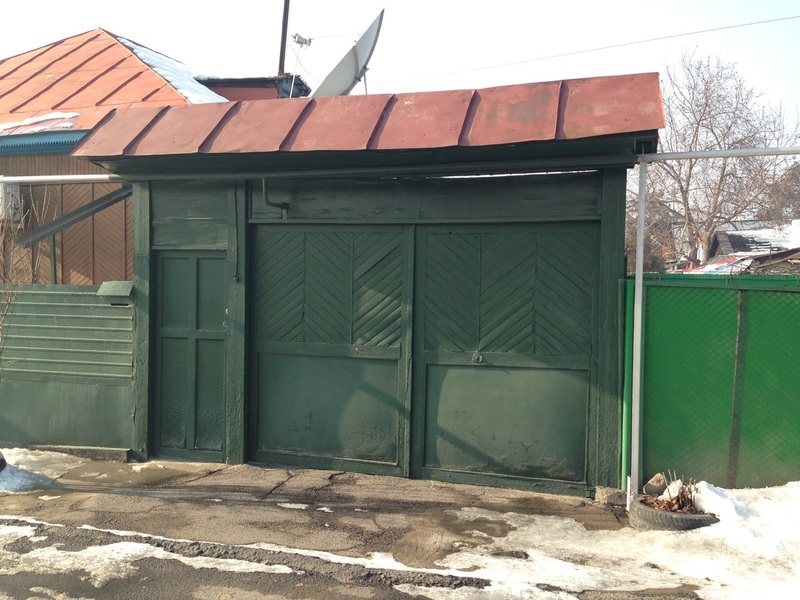 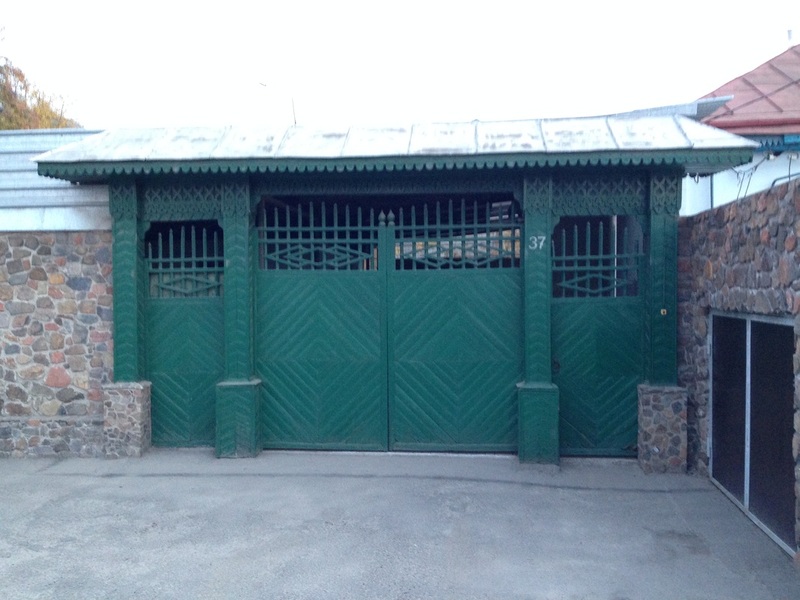 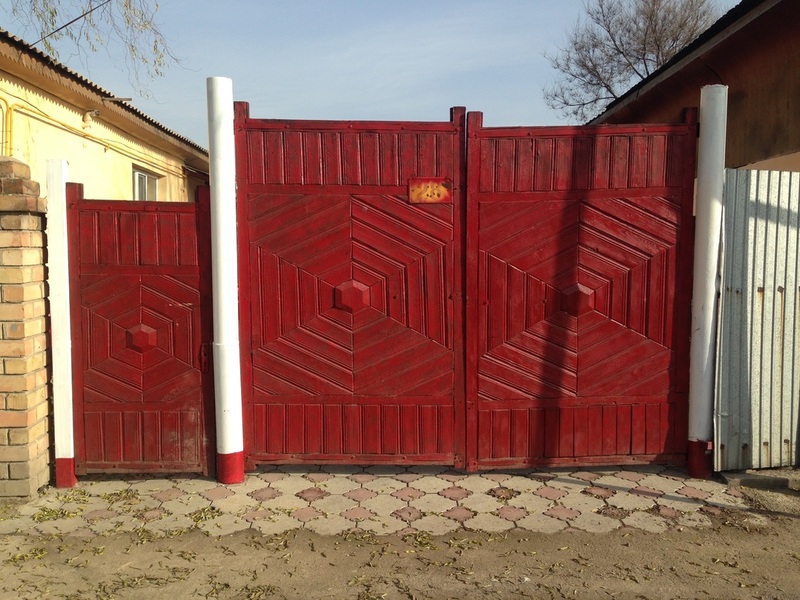 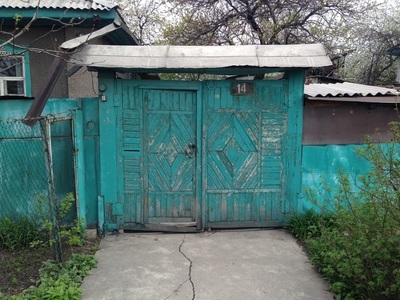 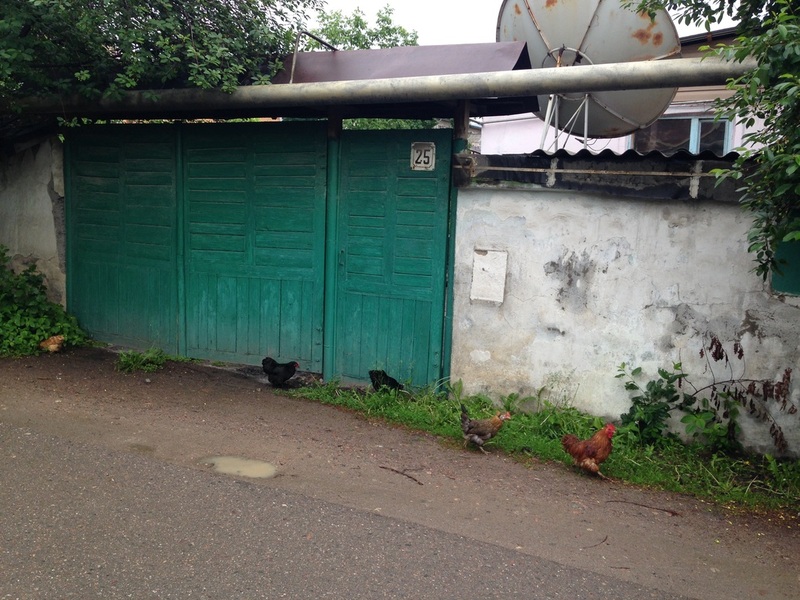 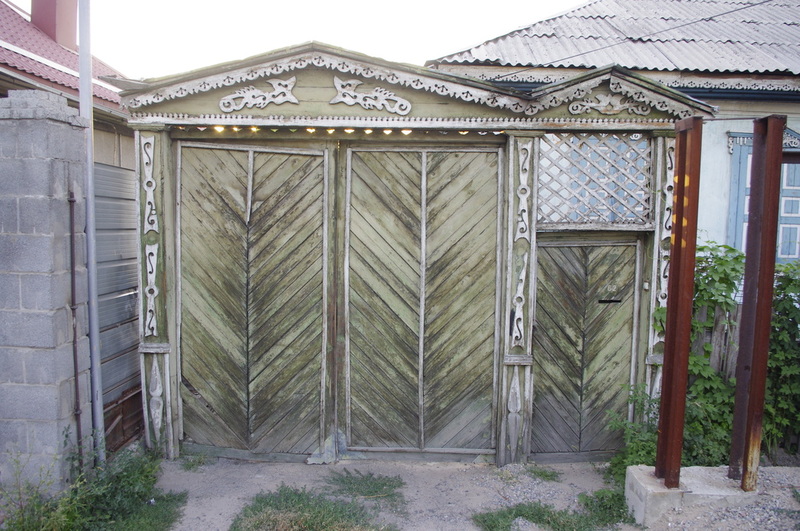 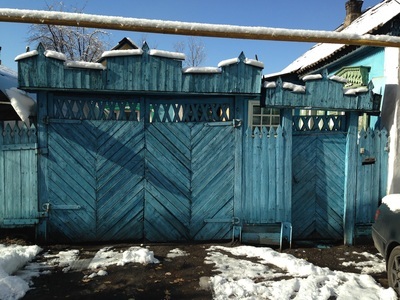 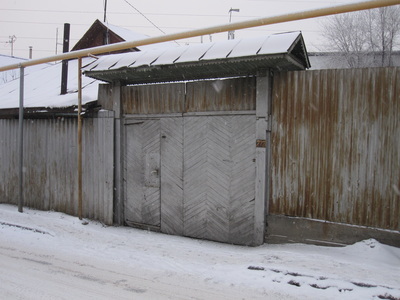 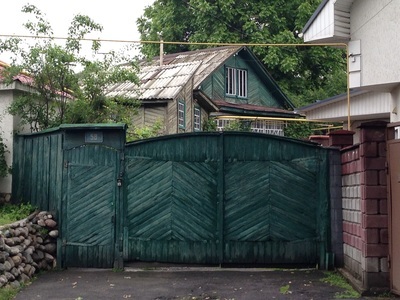 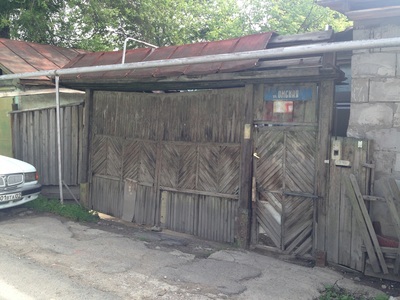 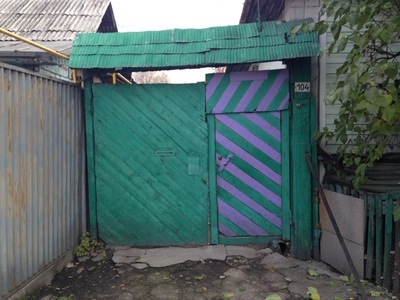 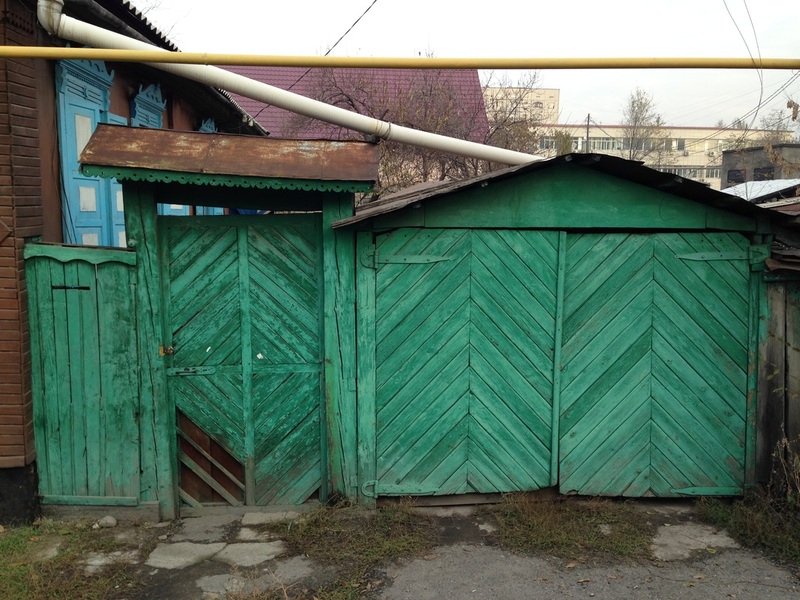 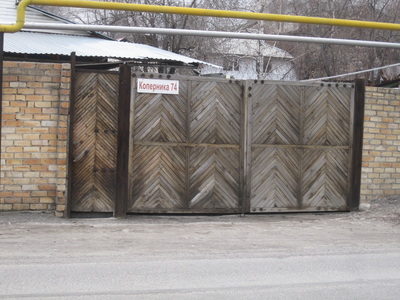 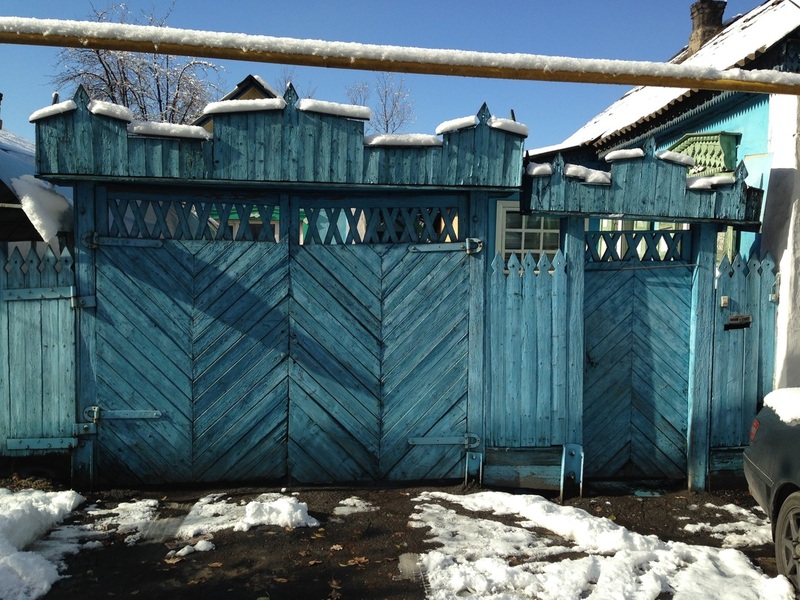 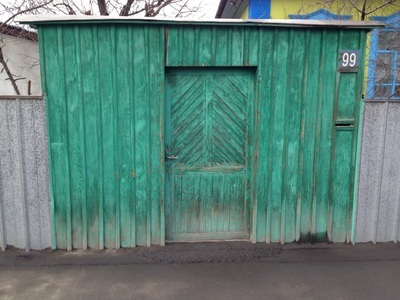 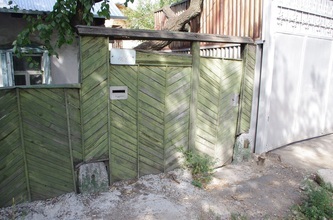 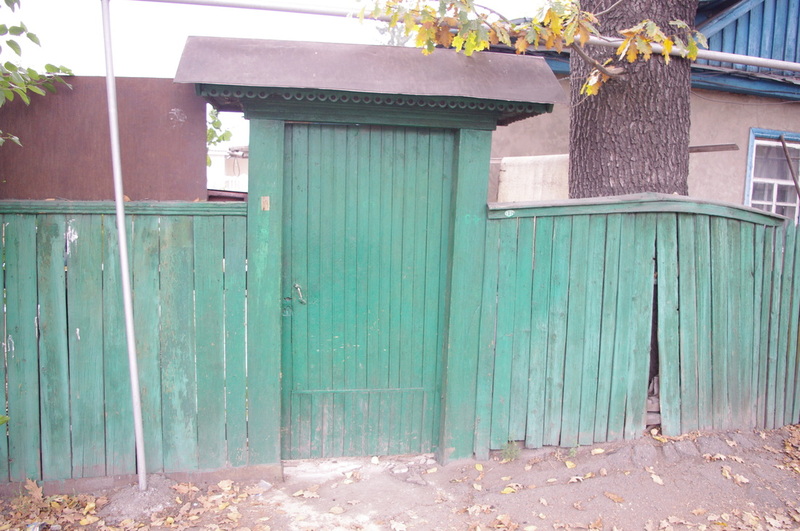 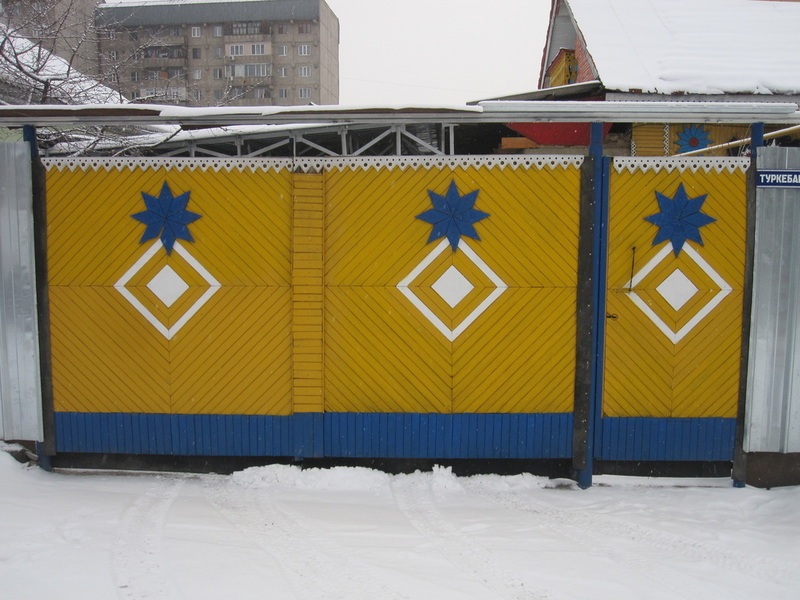 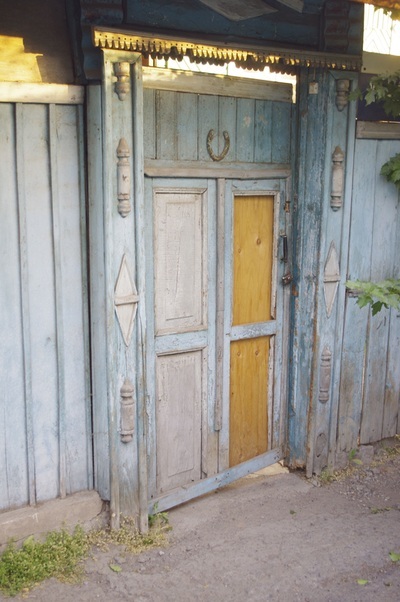 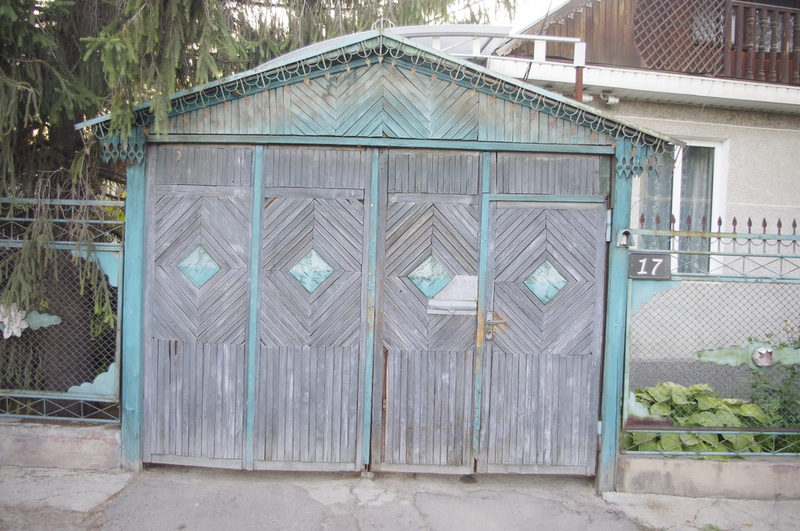 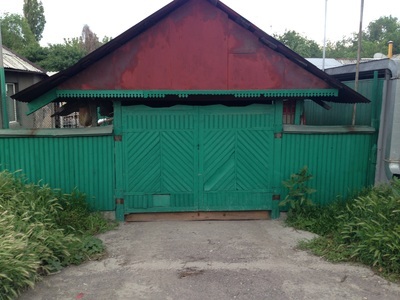 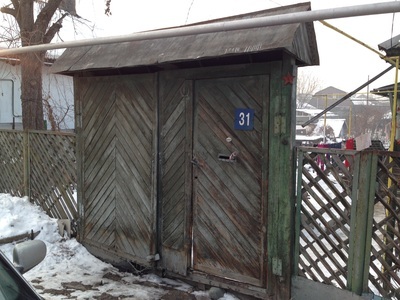 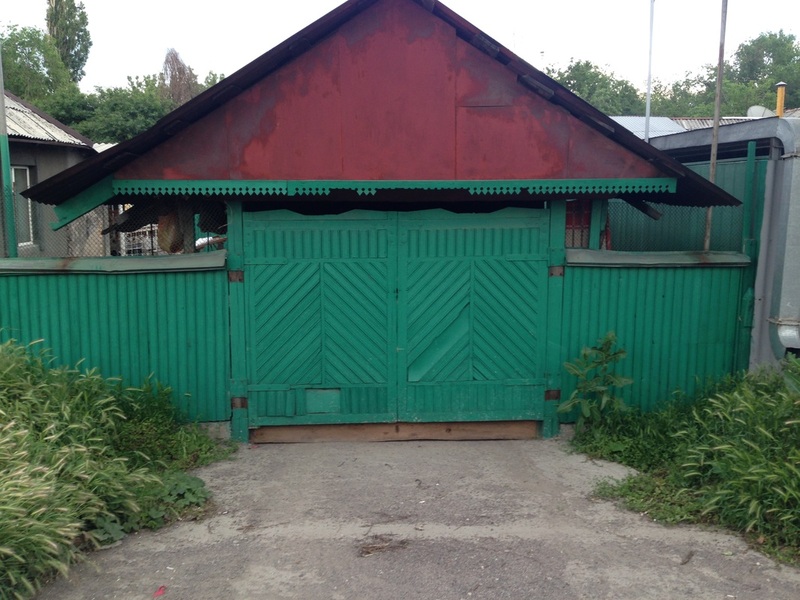 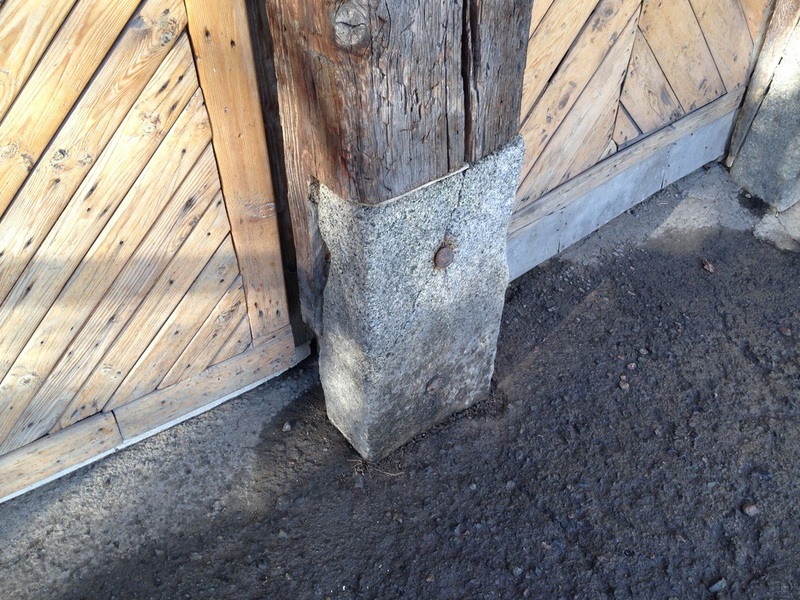 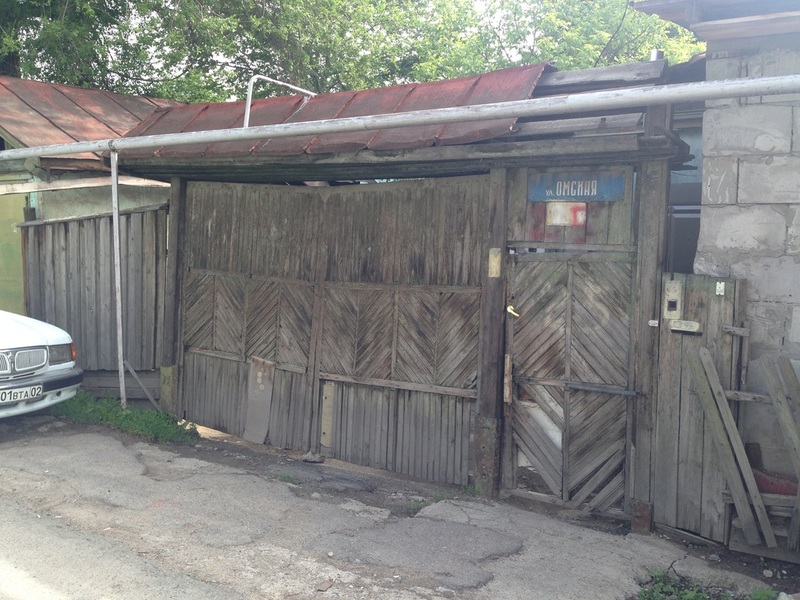 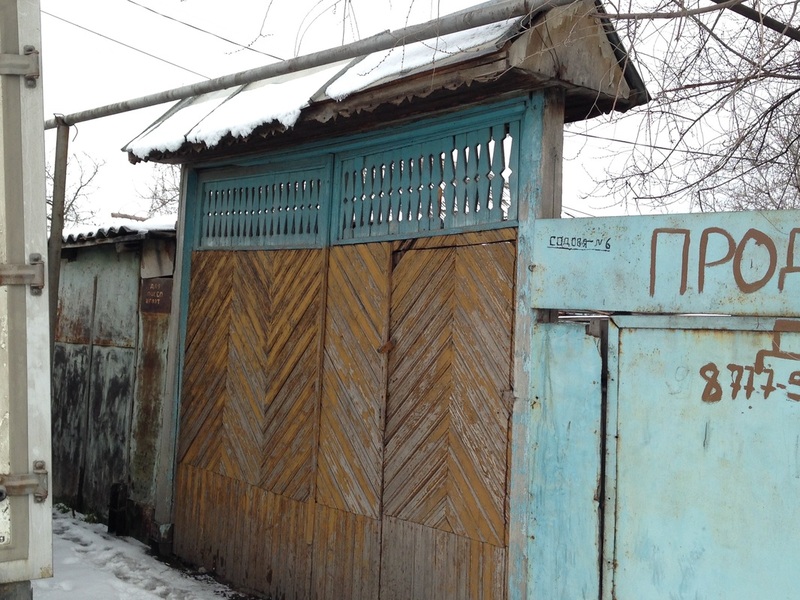 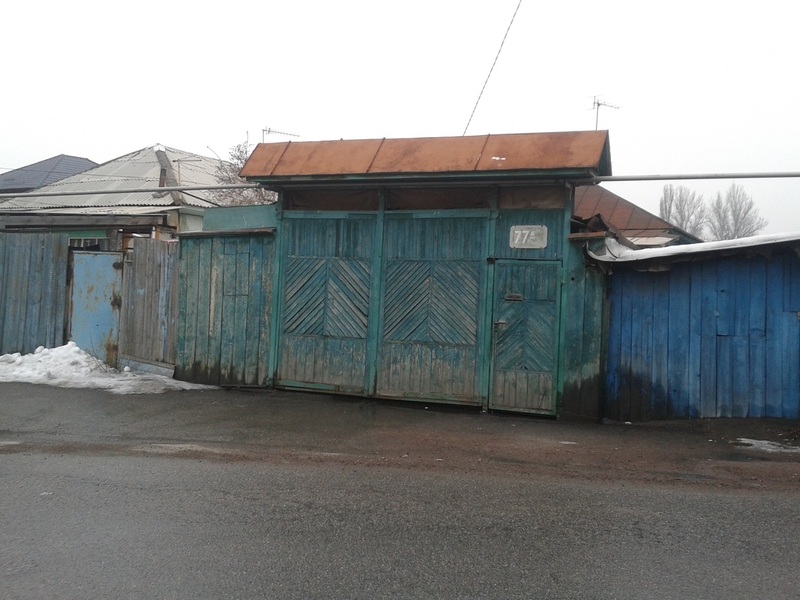 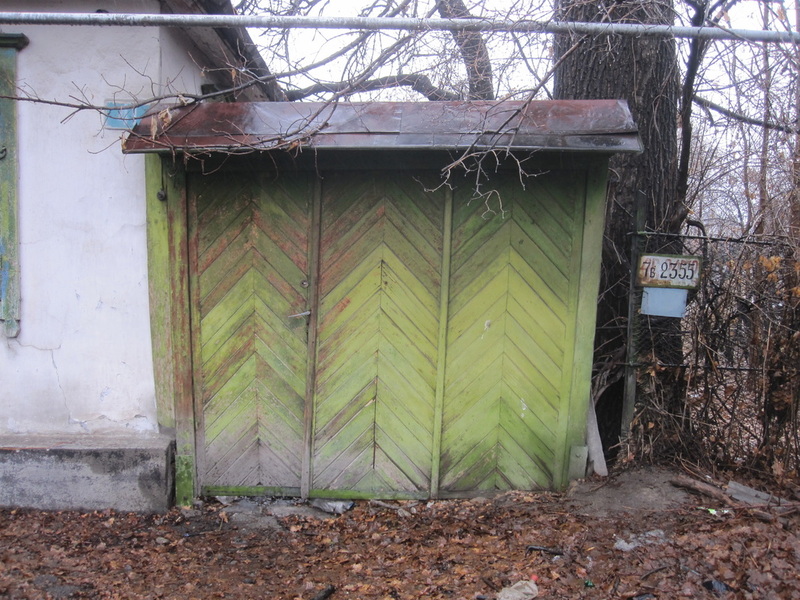 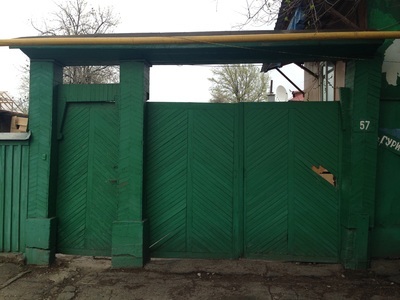 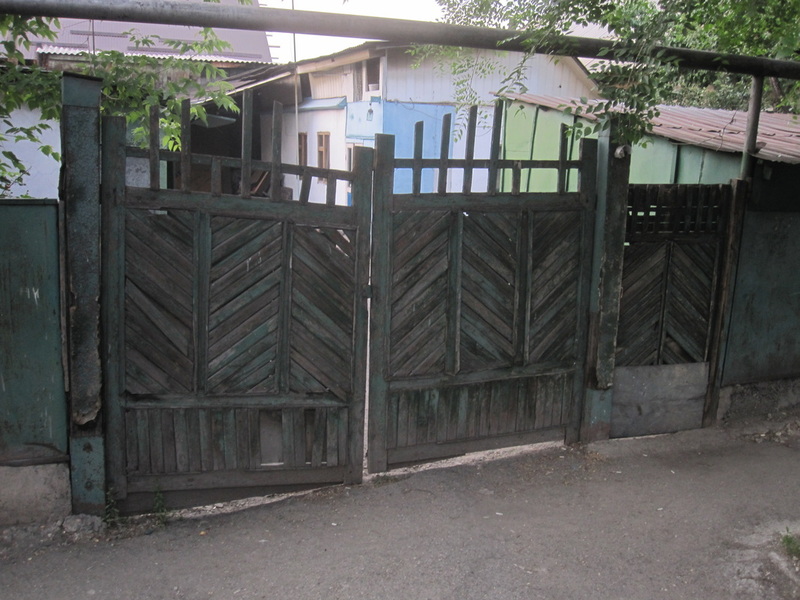 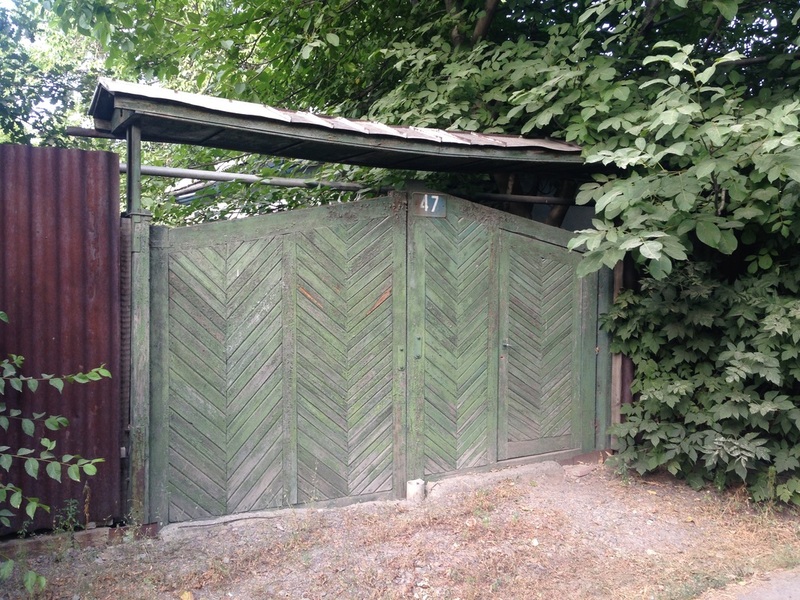 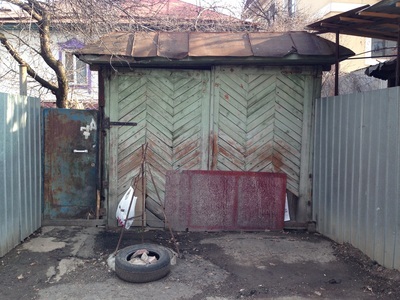 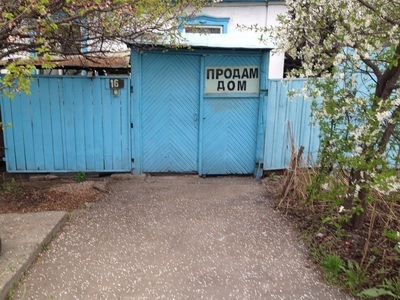 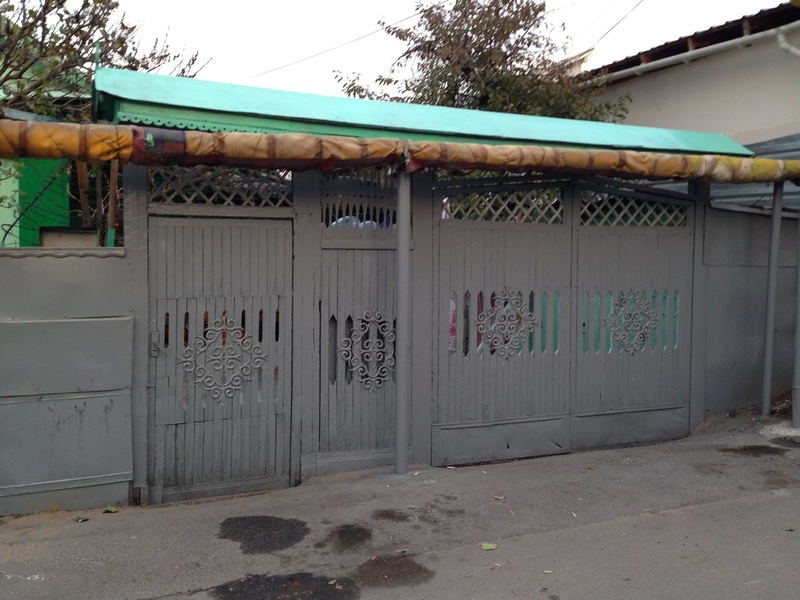 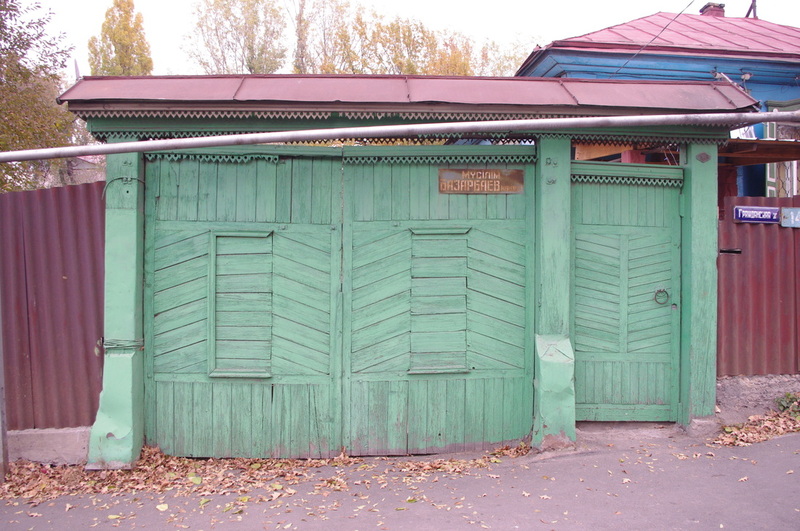 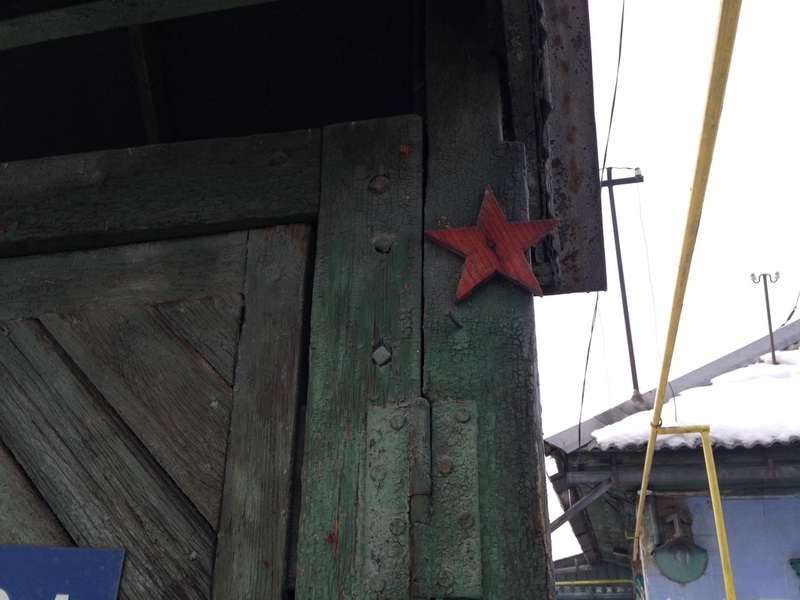 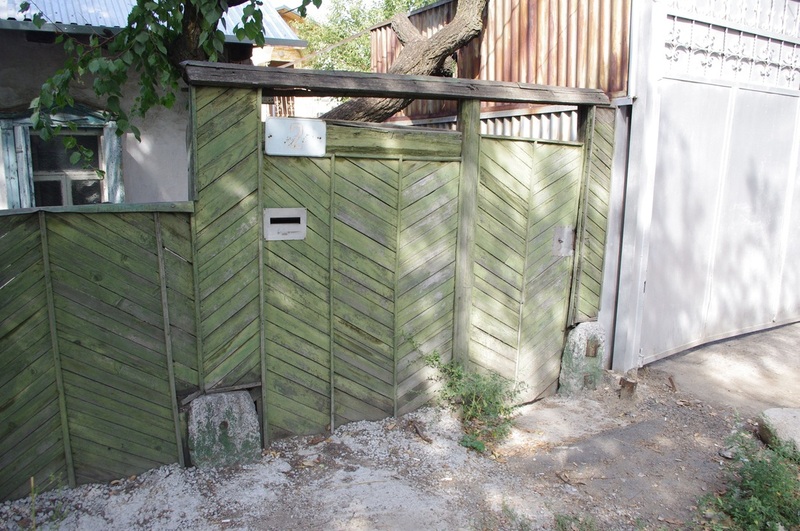 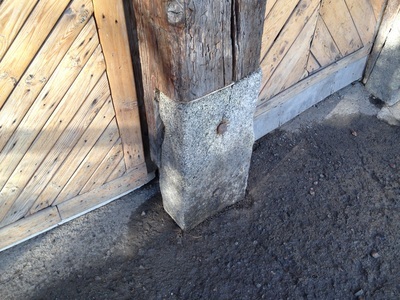 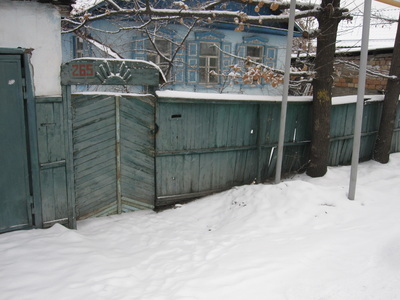 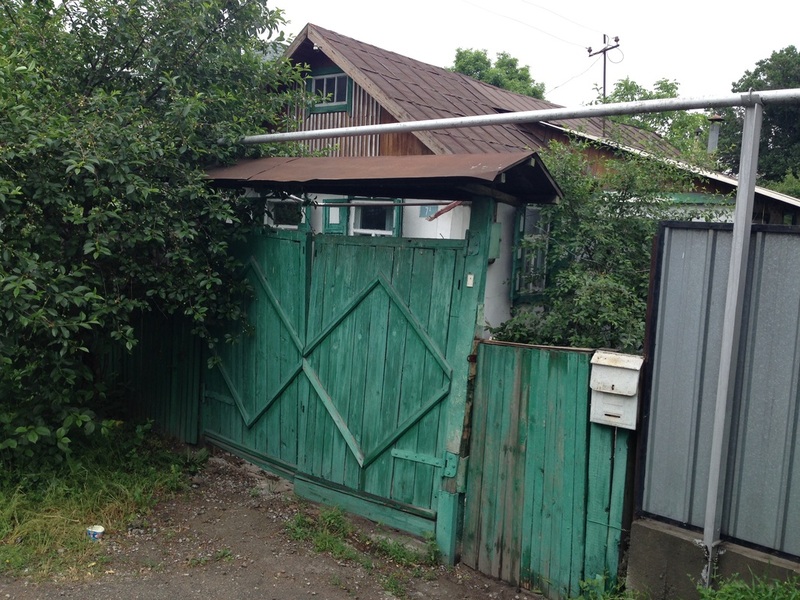 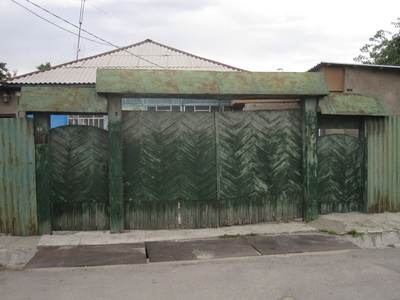 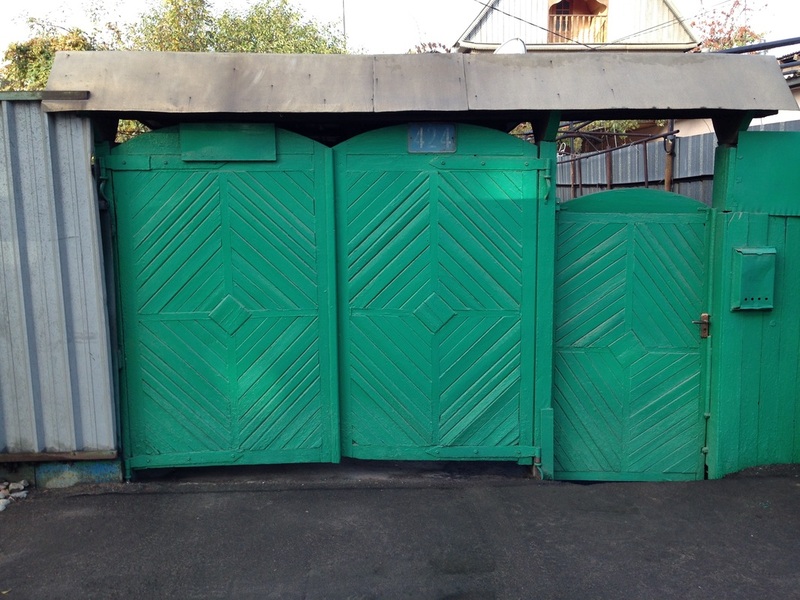 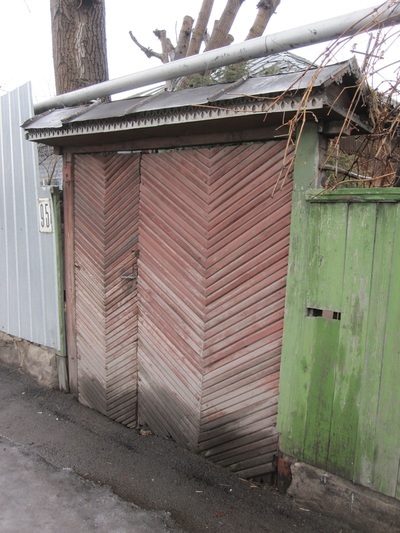 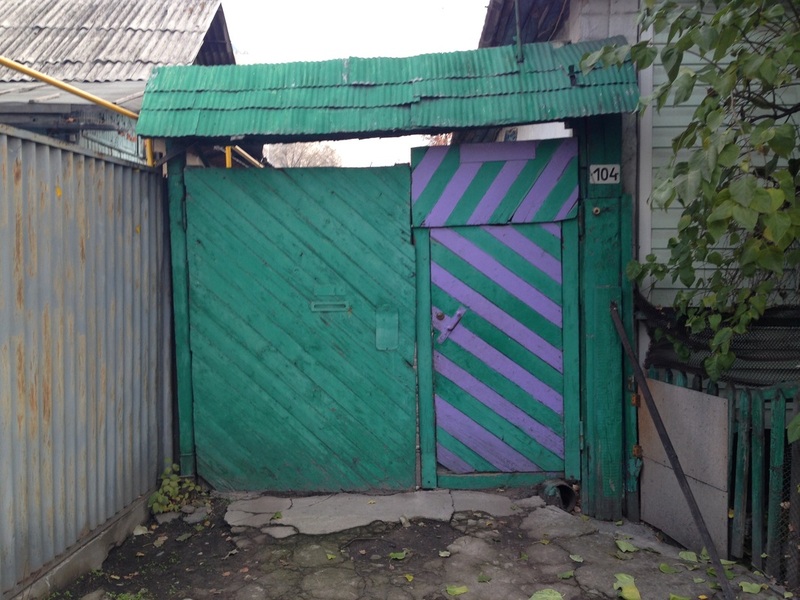 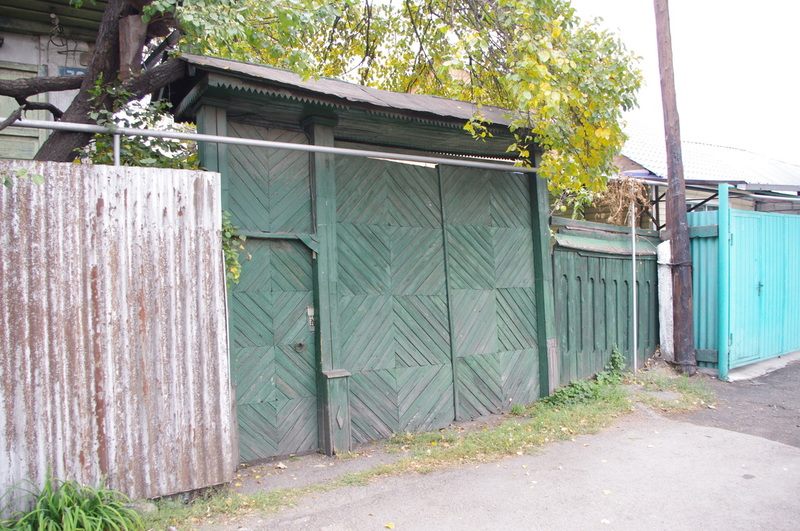 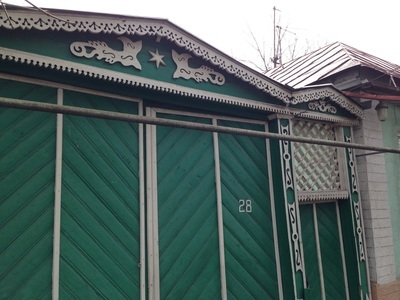 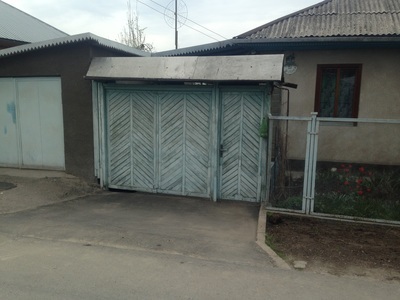 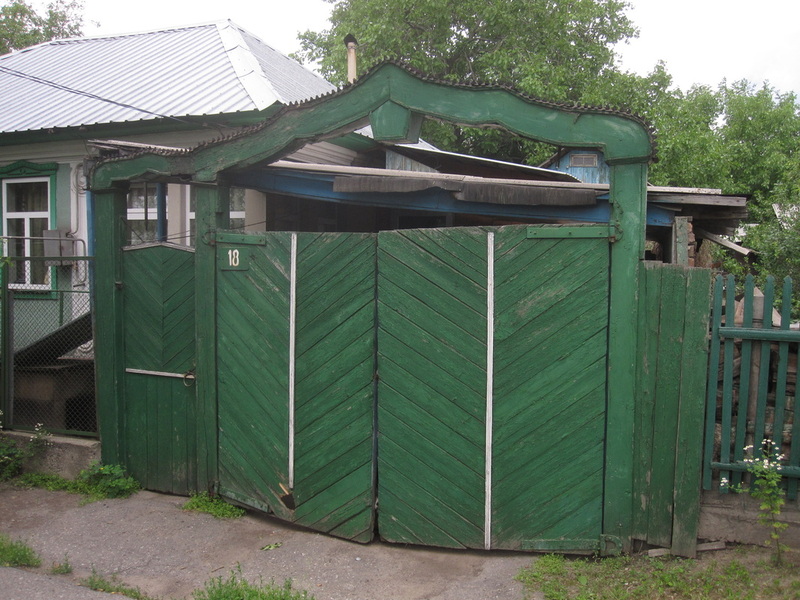 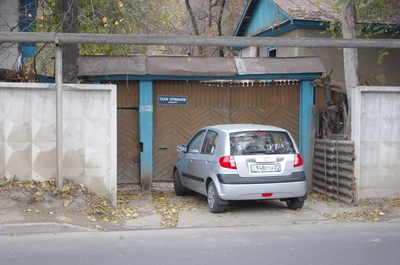 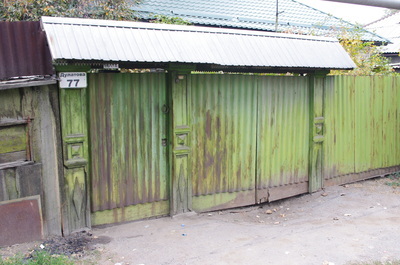 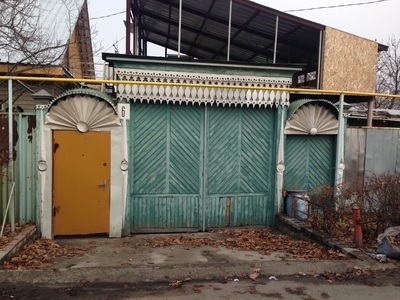 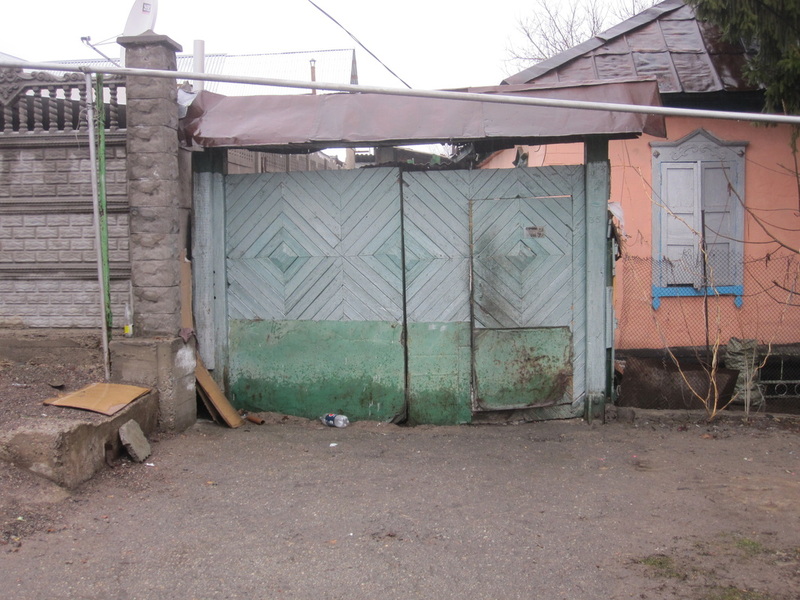 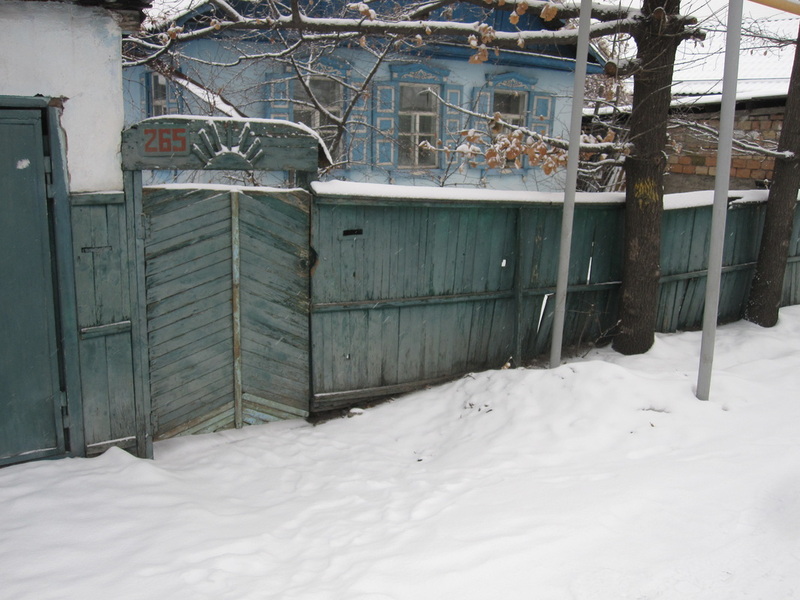 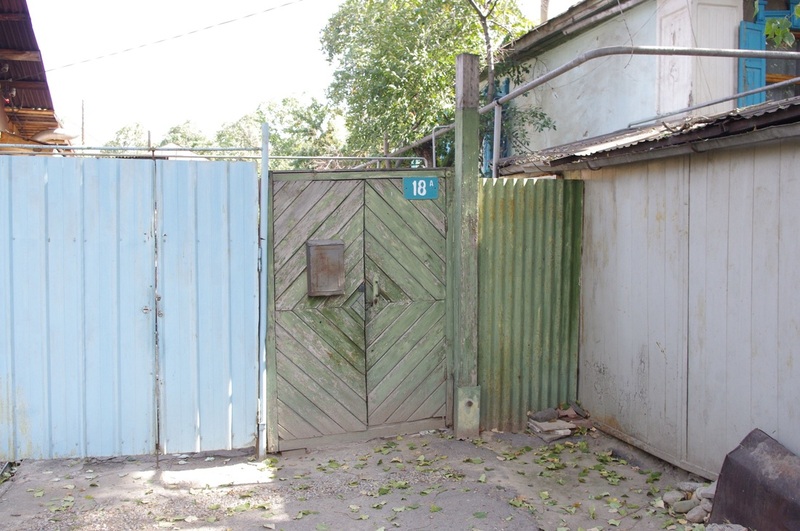 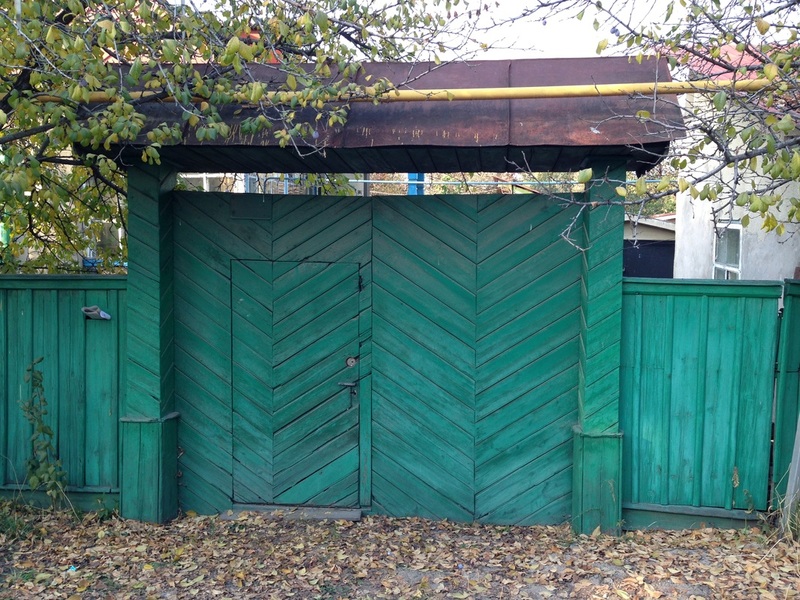 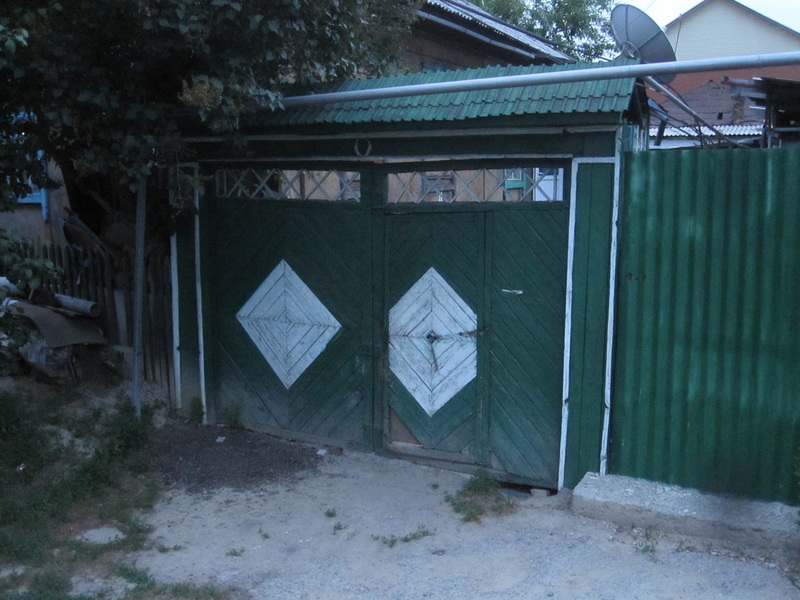 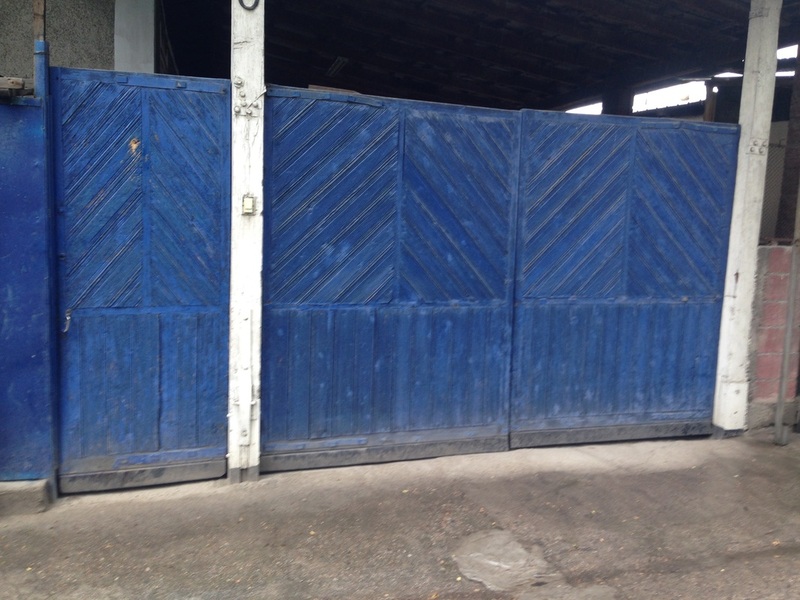 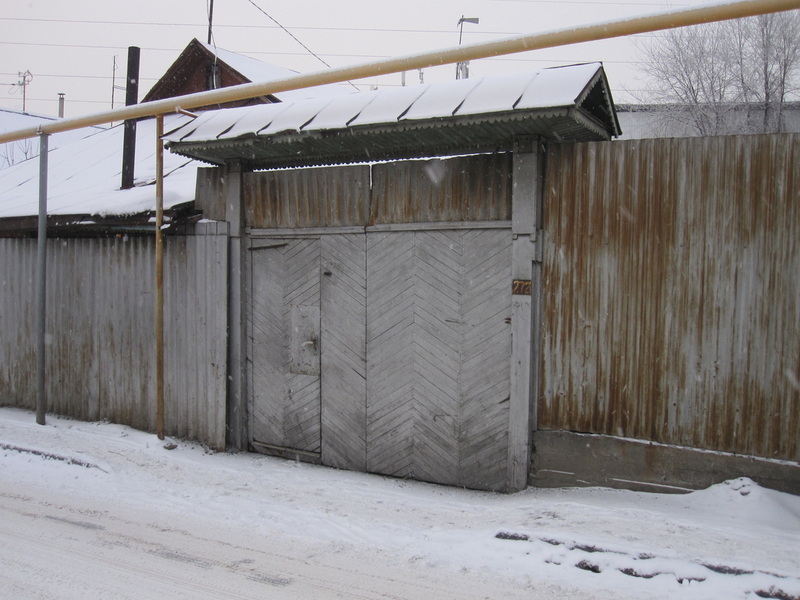 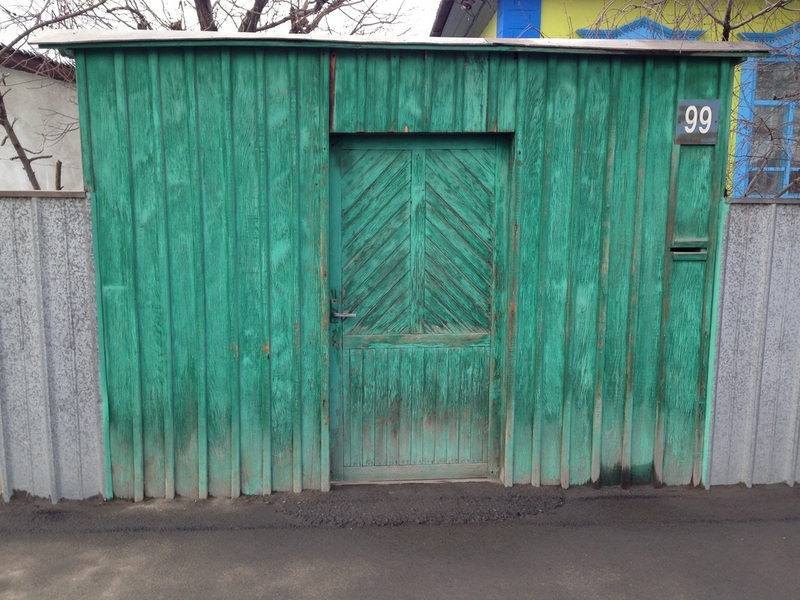 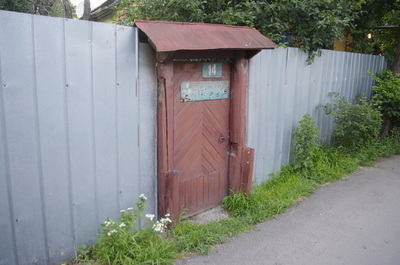 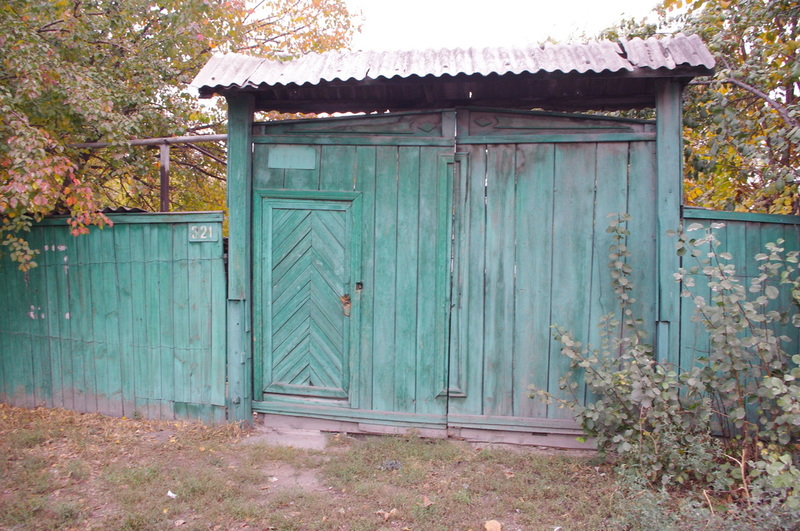 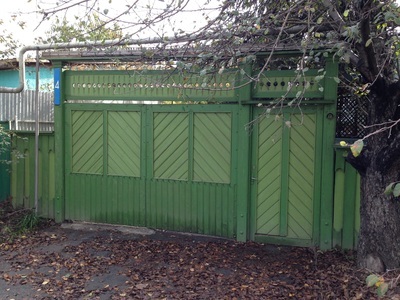 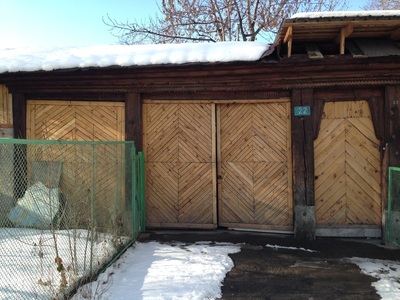 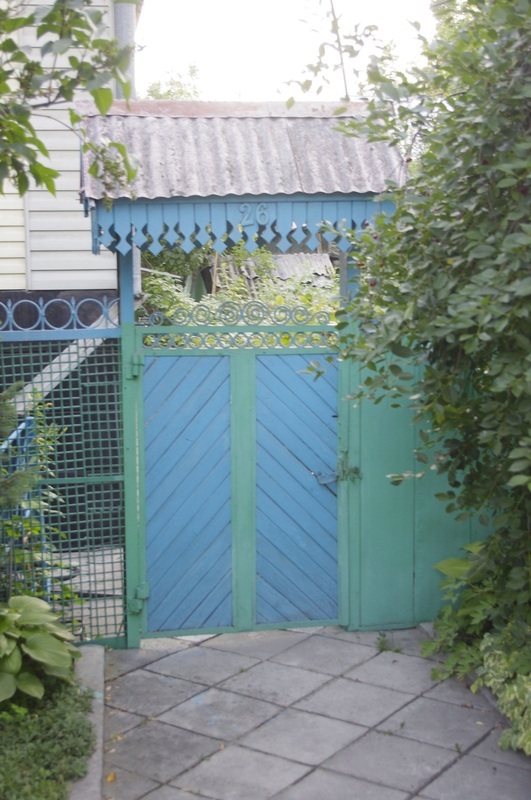 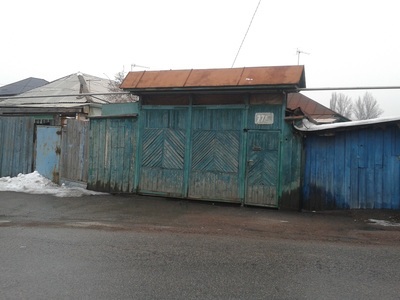 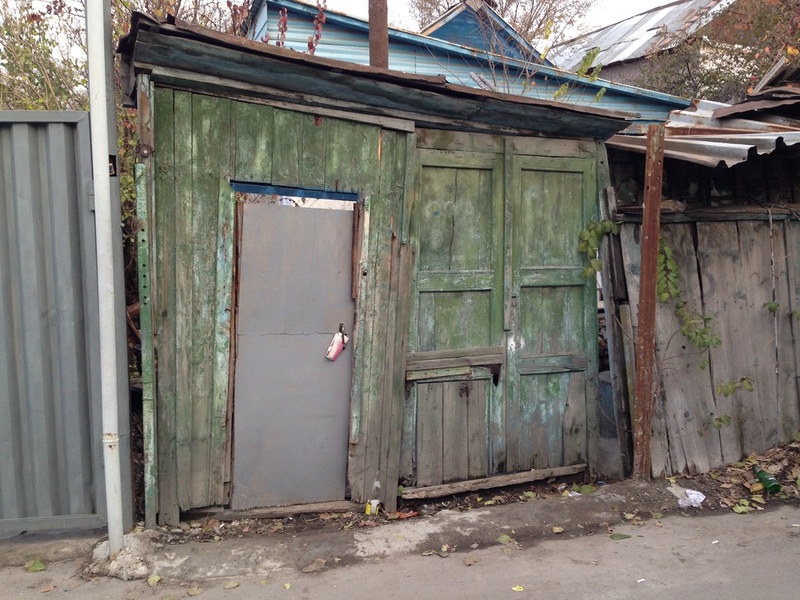 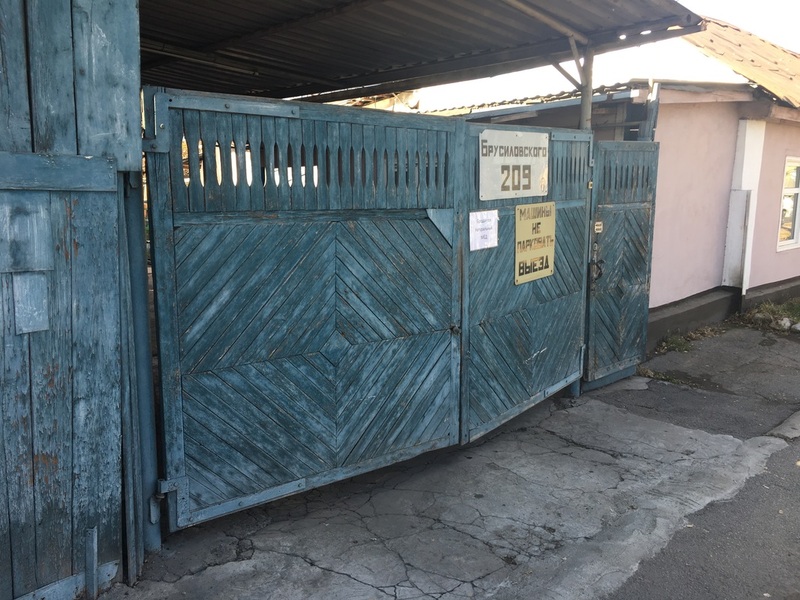 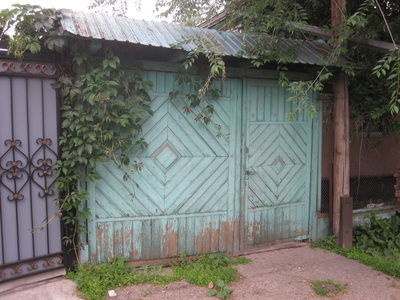 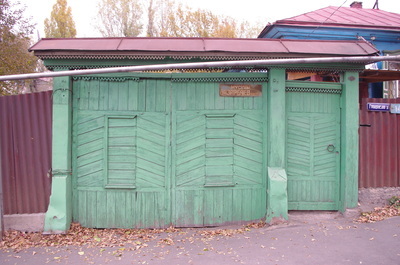 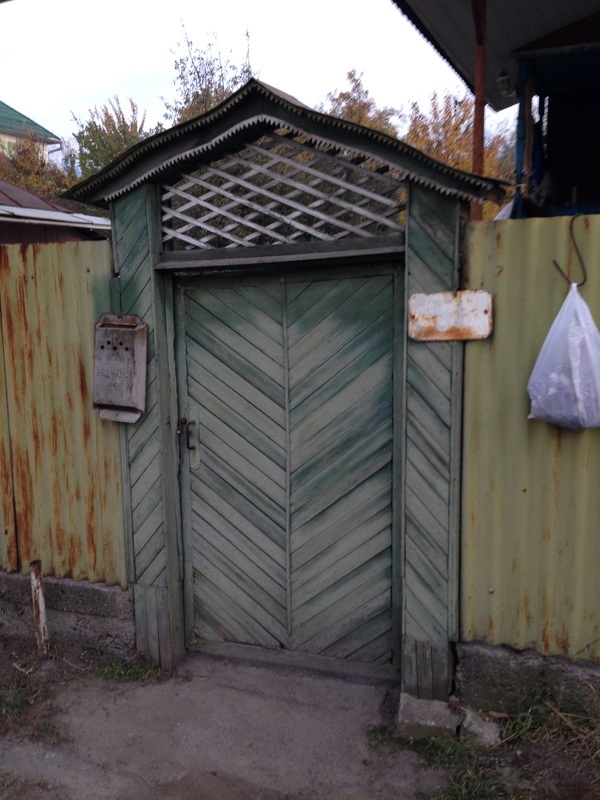 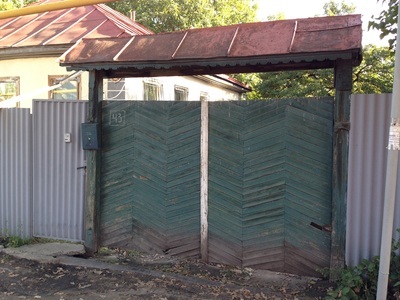 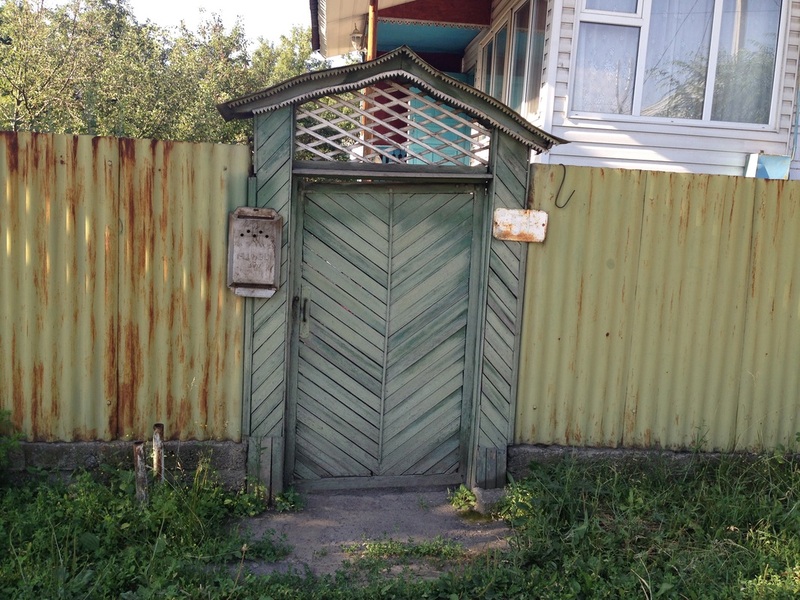 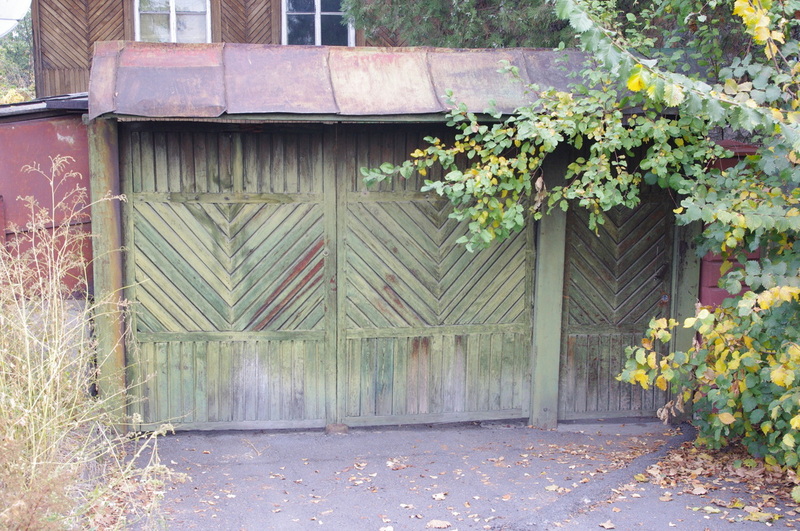 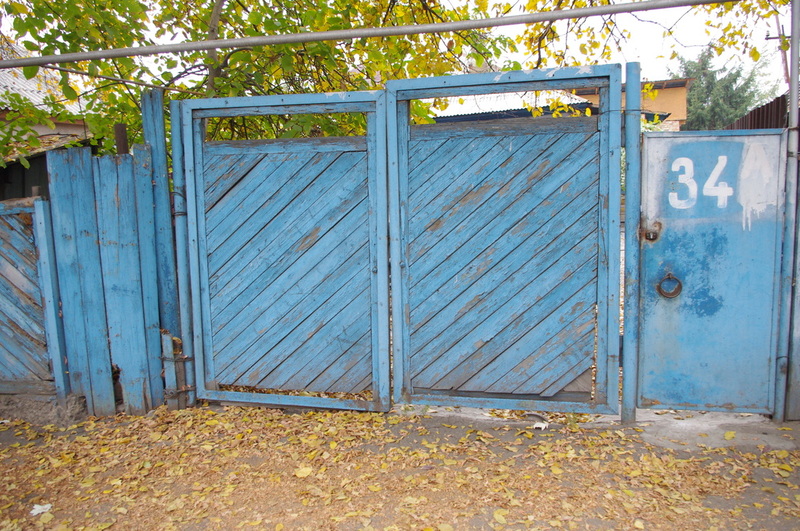 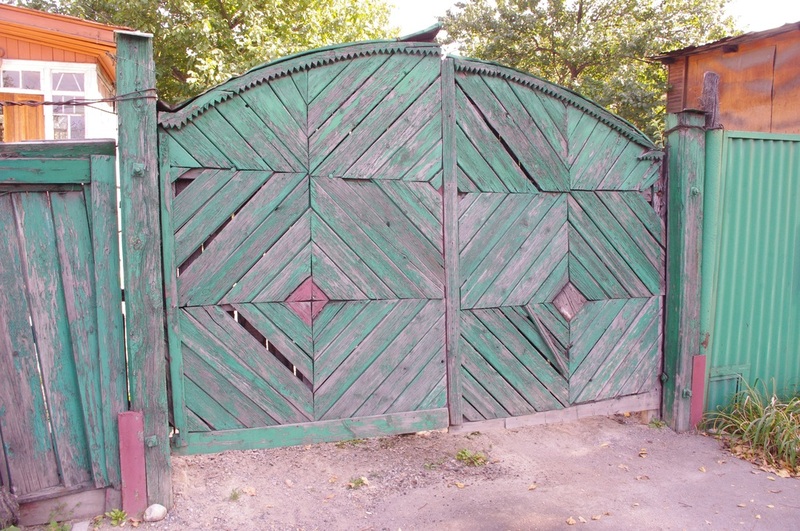 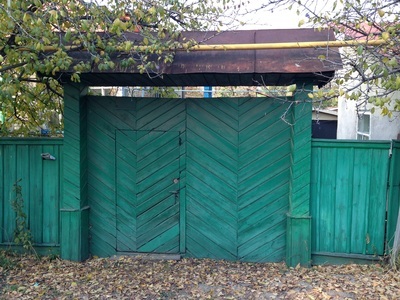 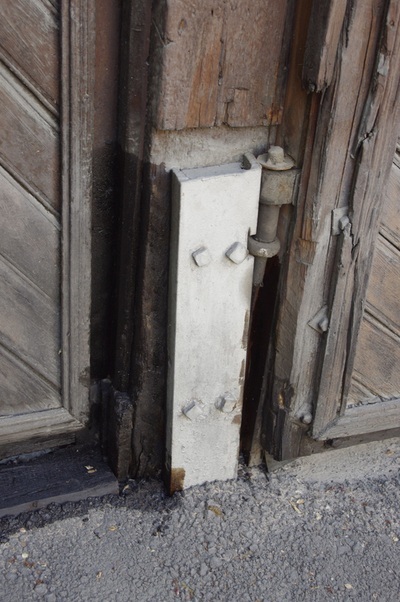 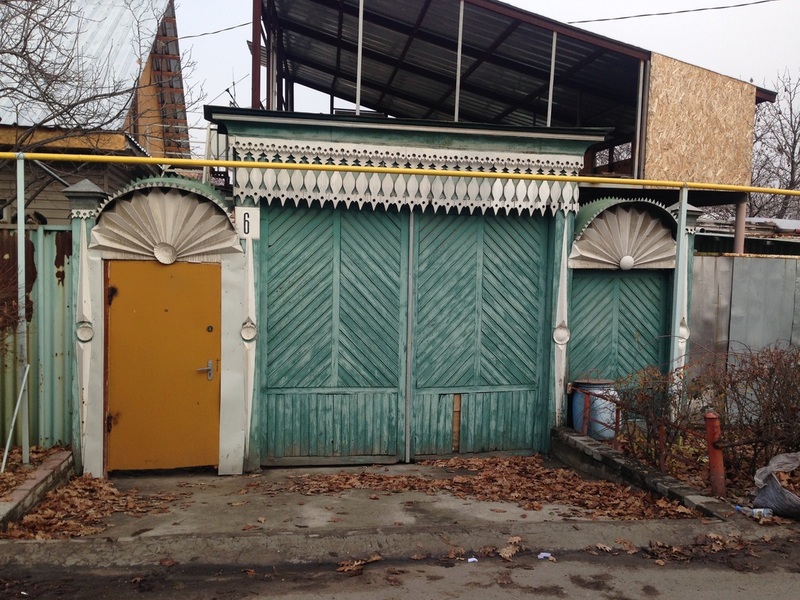 It's a nice innovation you'll see in the wooden gates [деревянные ворота; derevyannye vorota] that took root in Almaty's older neighborhoods. These old-fashioned mainstays of Russian country homes are distinguished by a few other fun features too. 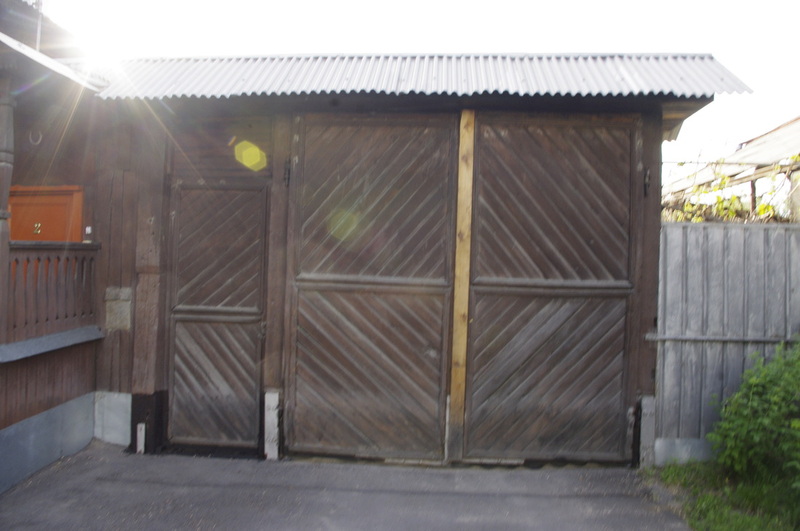 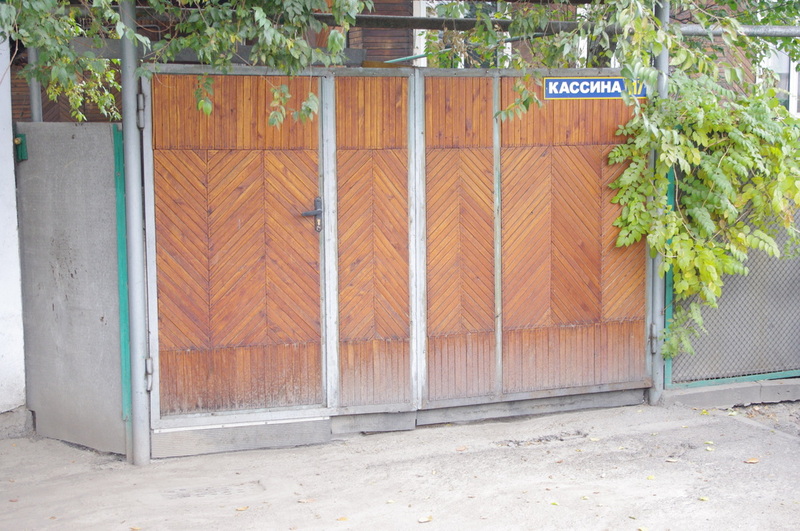 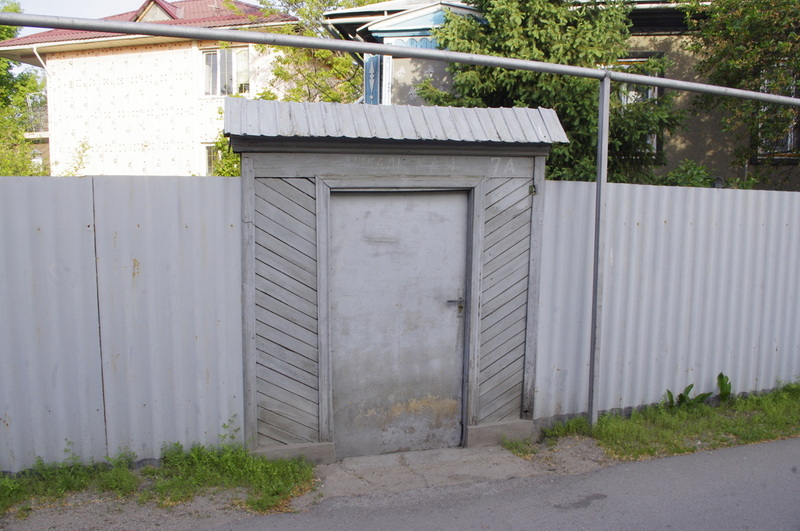 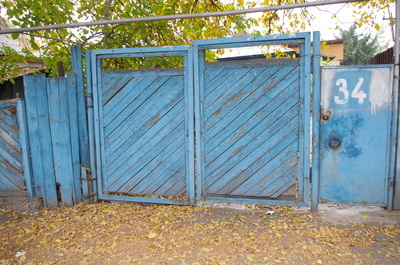 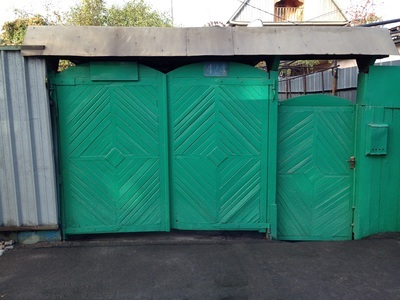 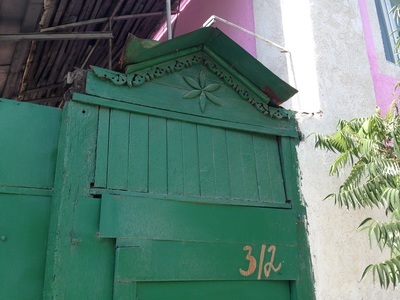 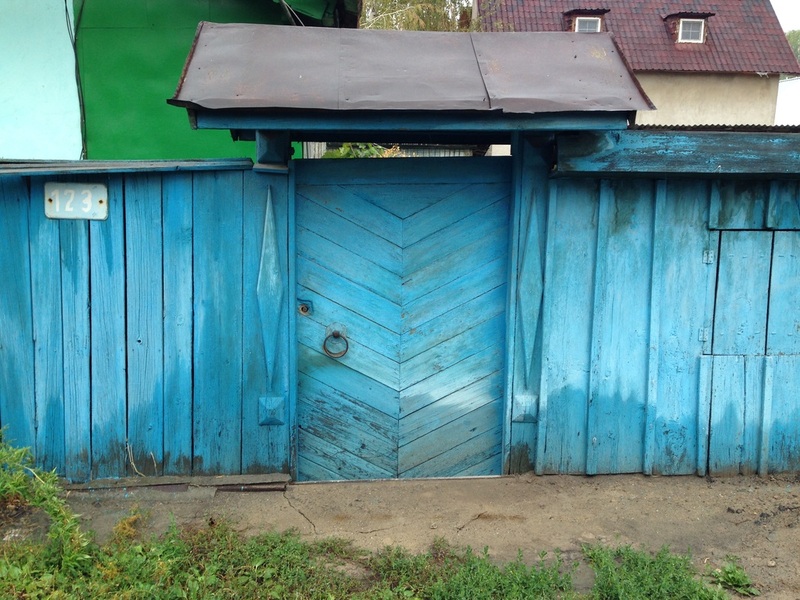 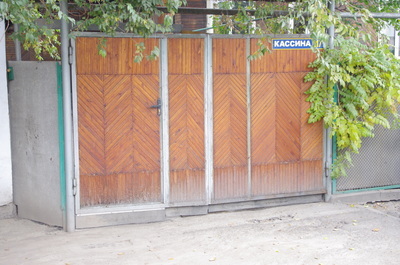 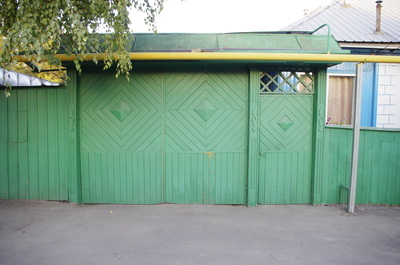 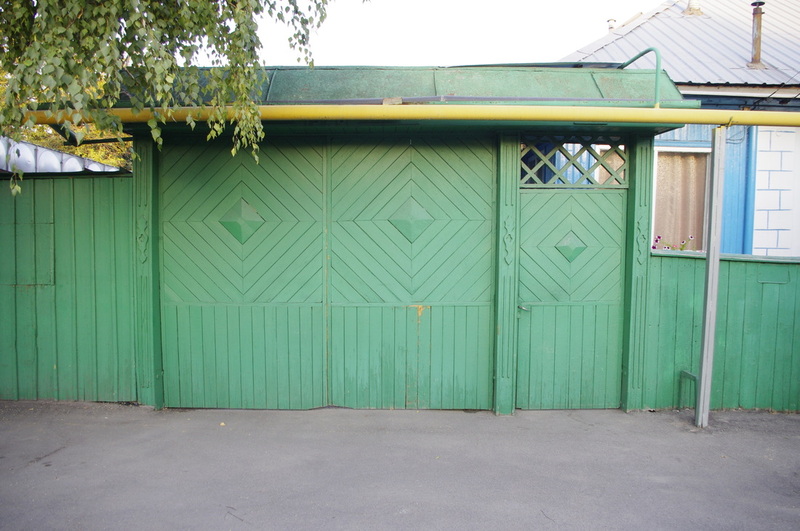 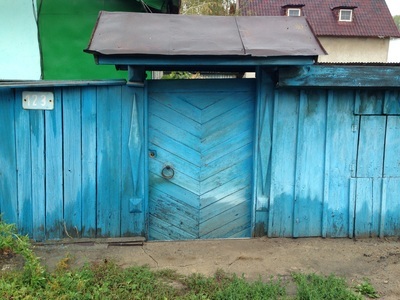 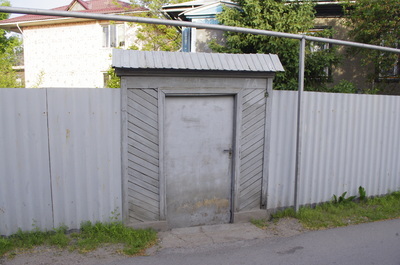 Most of the time, the gates have a door built into them called a kalitka [калитка], which in English, incidentally, is called a wicket. 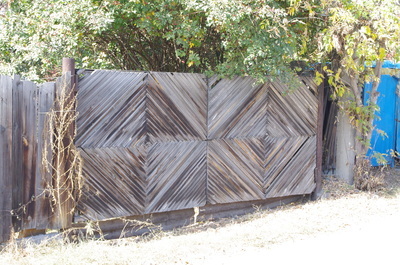 They're almost always faced with wood slats, arranged in the herringbone shape called yolochka or in a series of concentric cubes. 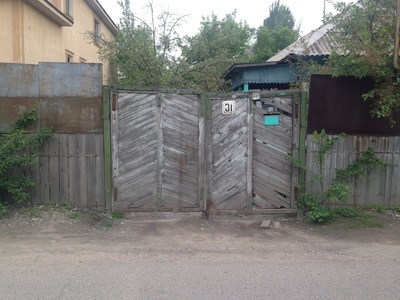 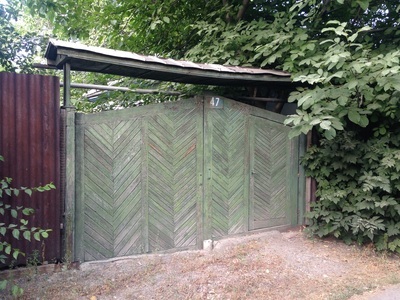 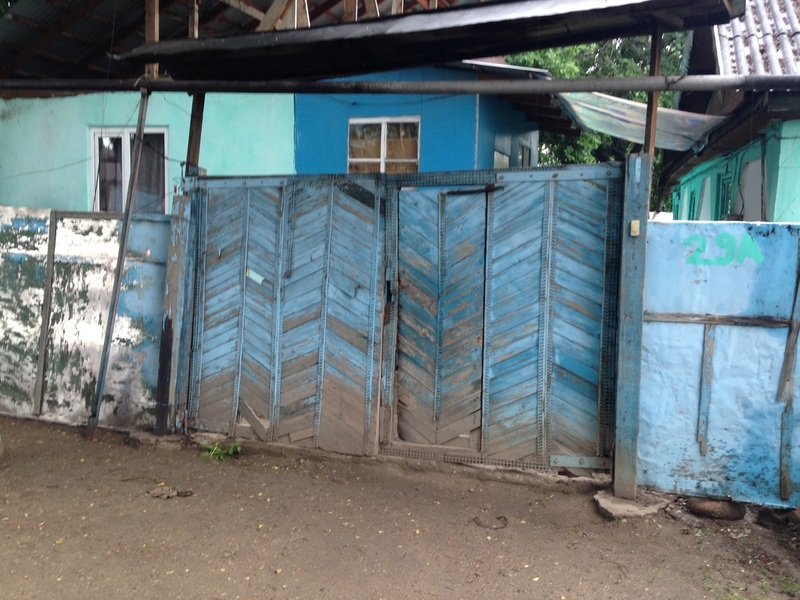 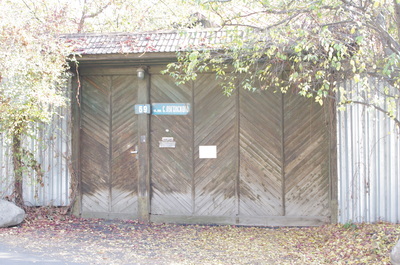 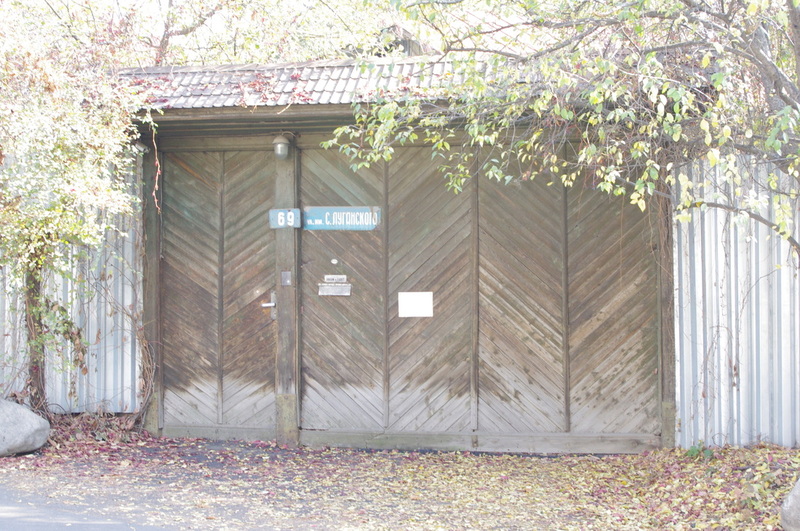 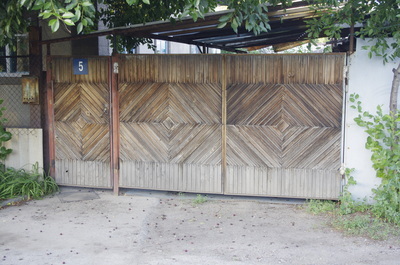 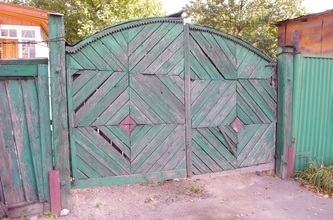 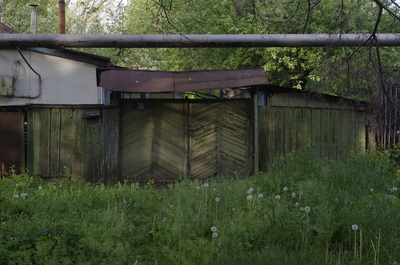 You can count the columns to determine a gate's genus, as there are three-columned gates [трехстолбные; trekhstolbnye], four-columned gates [четырехстолбные; chetyrekhstolbnye] and so on. And for me, the most intriguing detail is the presence of short little metal beams [двутавры; dvutavry] at the bottom of each column, bolted there, presumably, to shore up the strength of the structure. 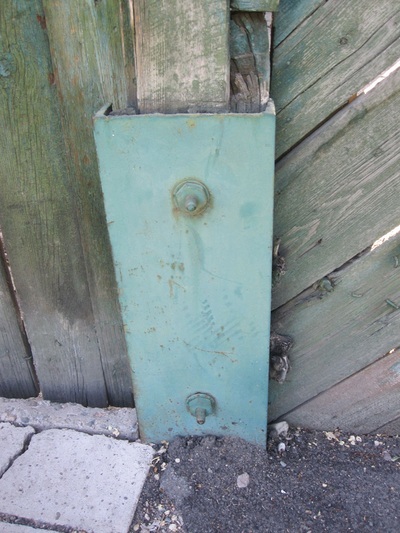 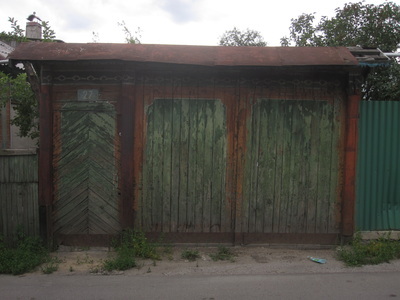 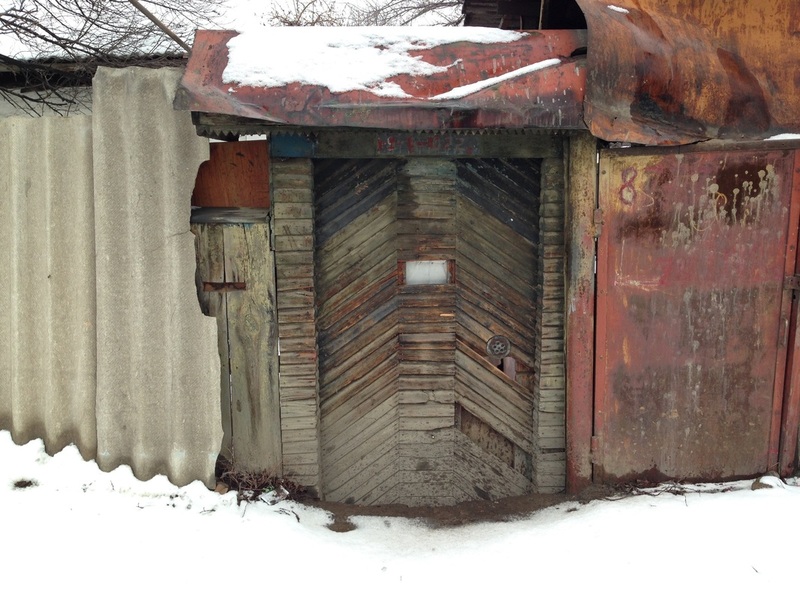 These tend to betray a gates' age, and when you find one of these old vorota, sharing the street with cheap corrugated metal, you can marvel at its durability. 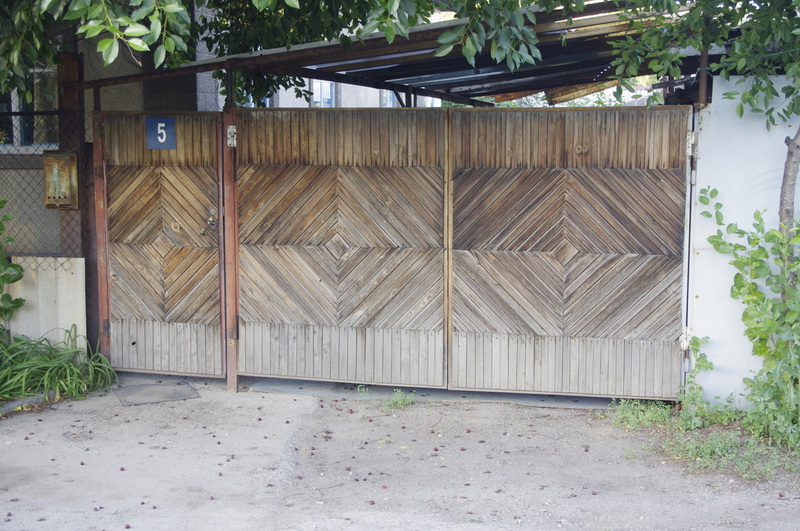 For decades these have stood with their impressive height, not imposing but inviting.